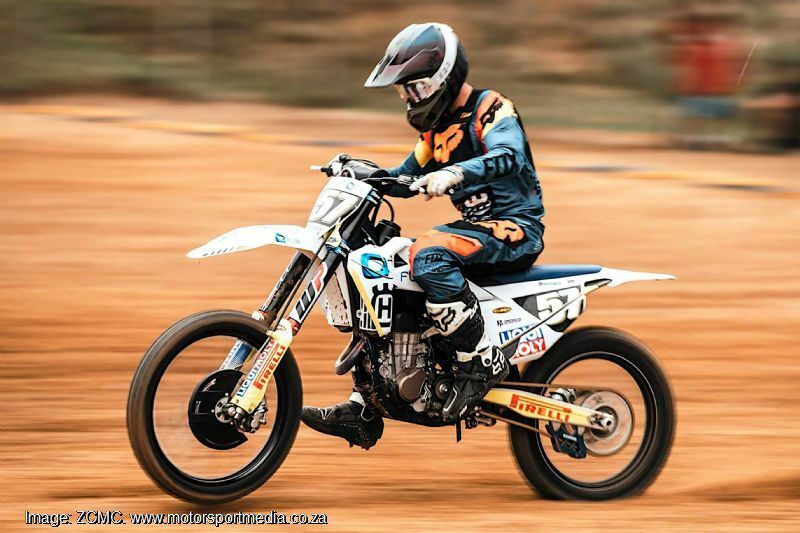 Legendary dirt bike maker Husqvarna’s two-wheeled legend stretches back to 1903, when the Swedish firm first motorised one of its bicycles to start a legacy that sees it as the oldest motorcycle manufacturer with uninterrupted production in the world today. 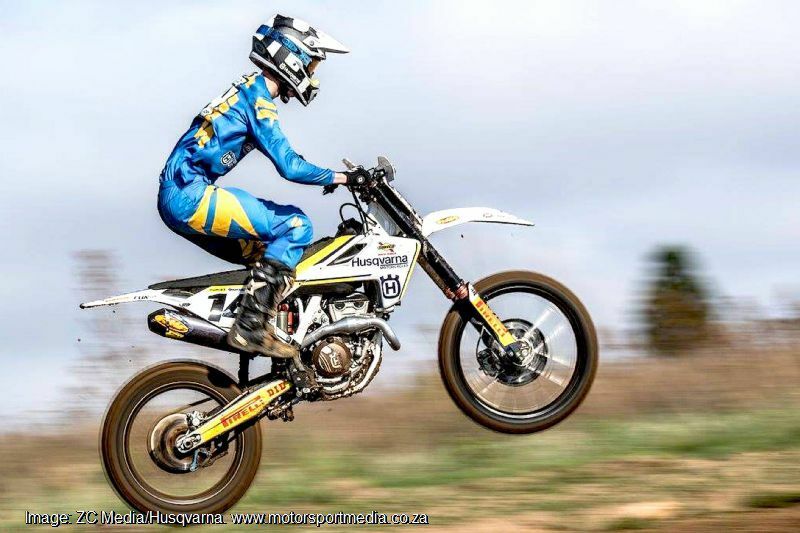 Husqvarna (Swedish for Silver Arrow) has been winning races since 1933 and was one of the first bike makers to supply a new form of motorcycle sport — ‘moto-cross’. 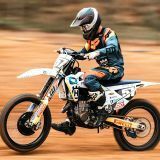 By 1953, Husqvarna’s lightweight and easy-to-adapt single-cylinder machines were fast becoming a popular choice for off-road use and by 1955 the company started selling it’s pioneering motorcycle purpose-built for off-road use. 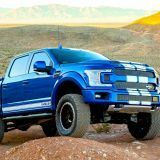 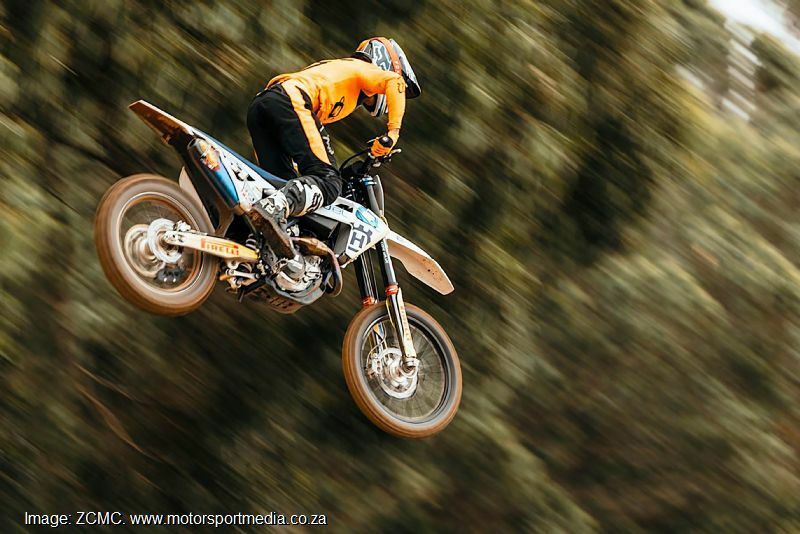 Weighing in at just 75kg, the nimble Husky motocrosser featured revolutionary telescopic forks, hydraulic dampers and a frame-mounted engine. 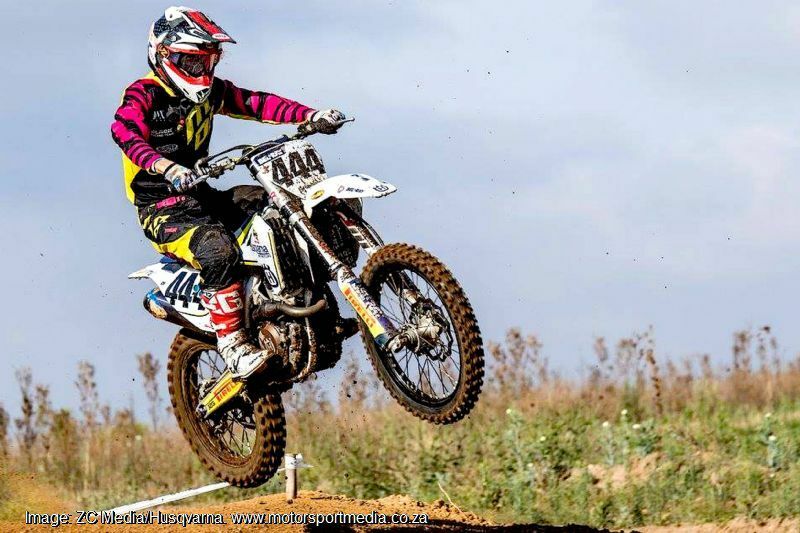 By 1959, Rolf Tibblin had won Husqvarna’s first 250cc world motocross championship before the company went on to become the dominant force in world motocross, enduro and off-road racing, to establish itself as the ultimate off-road motorcycle racing brand of the golden dirt bike era of the 1960s and ‘70s before. 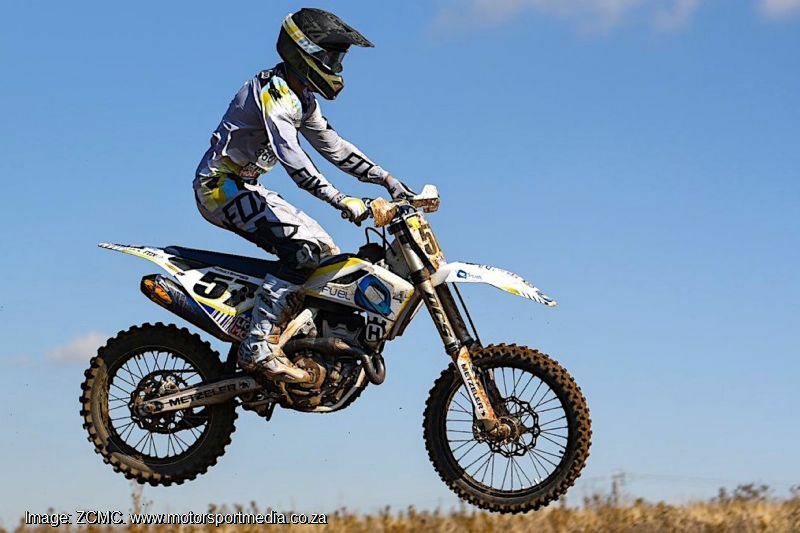 Husqvarna led the way in dirt bike development through dramatic suspension and technological breakthroughs including a new generation of 4-stroke competition motorcycles. 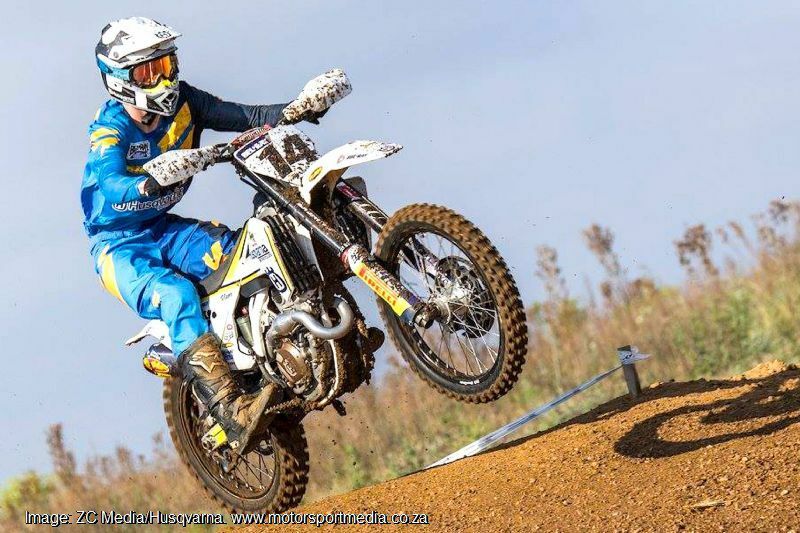 Husqvarna Motorcycles today offers a full range of premium new-generation off-road motorcycles resplendent in classic white, blue and yellow colours and ready to win. 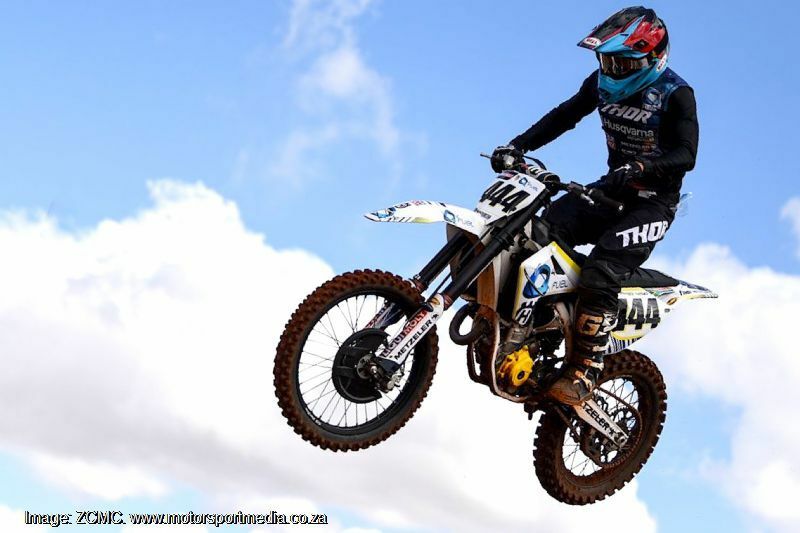 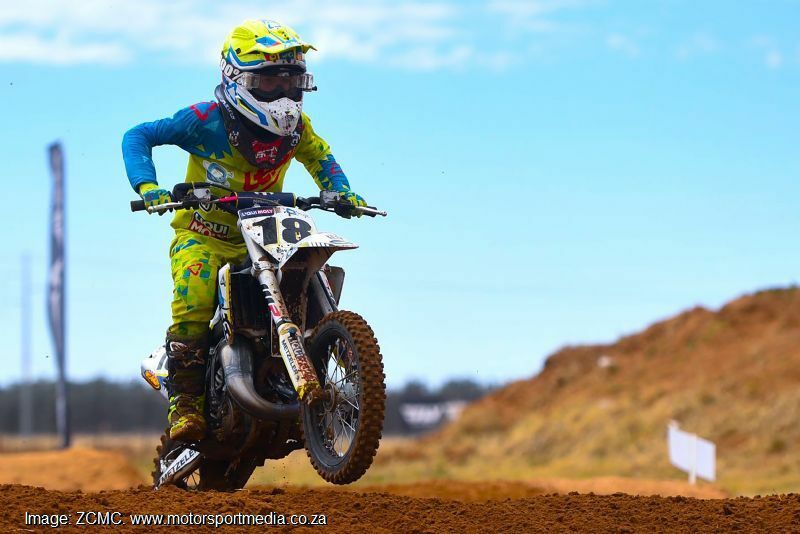 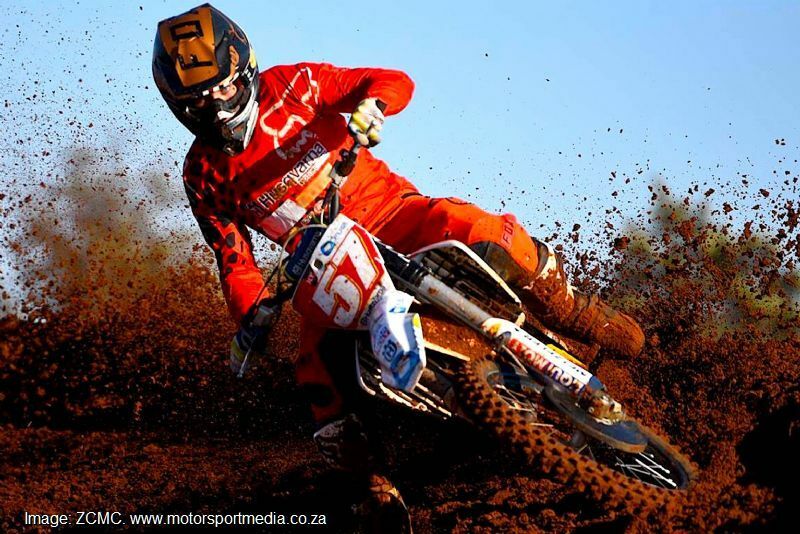 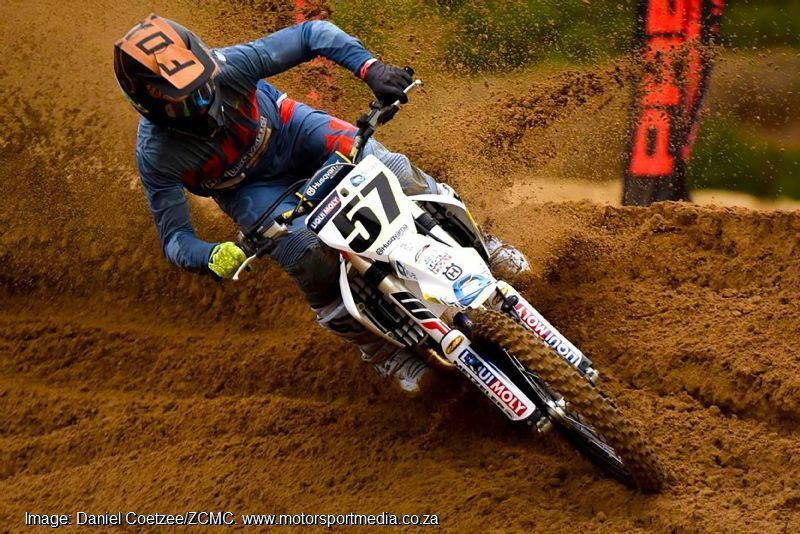 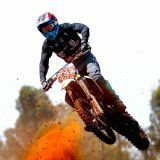 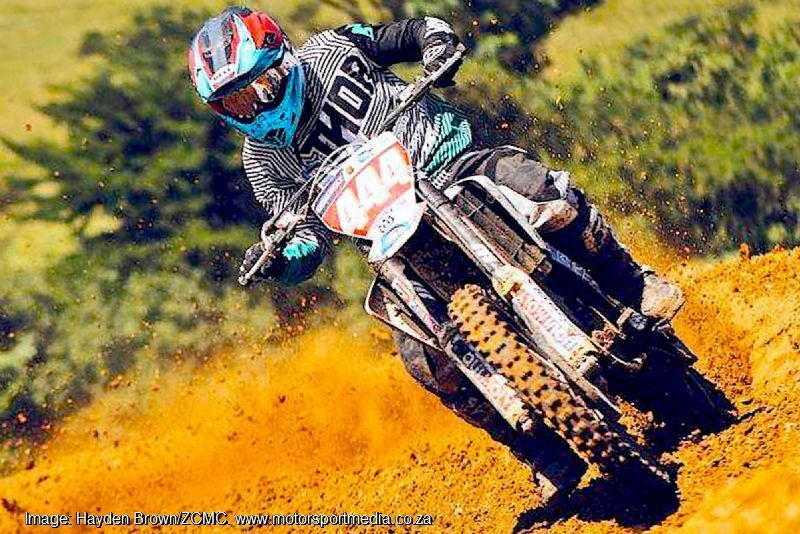 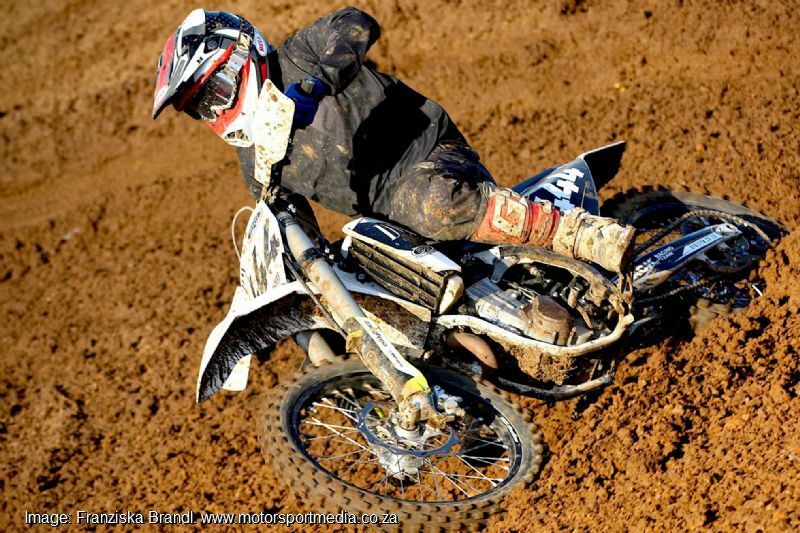 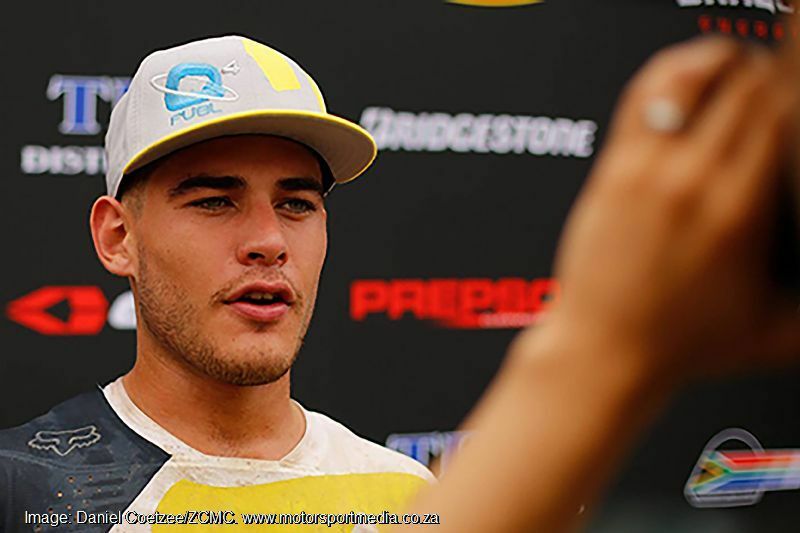 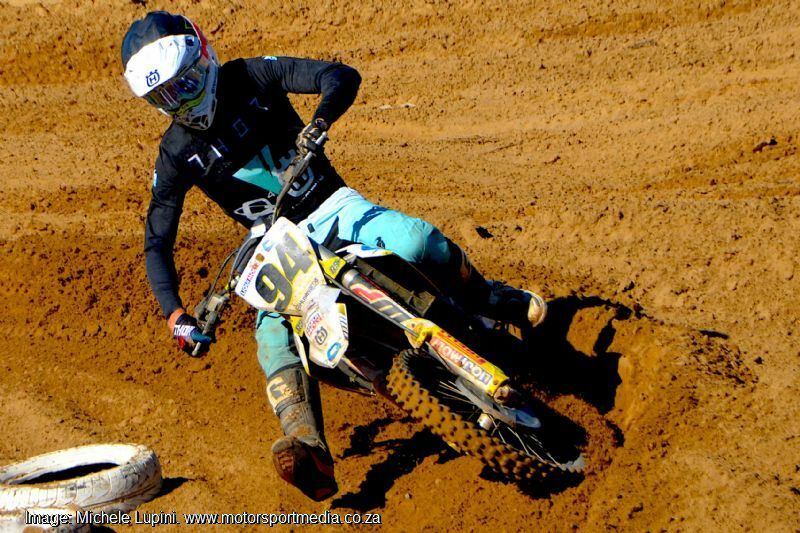 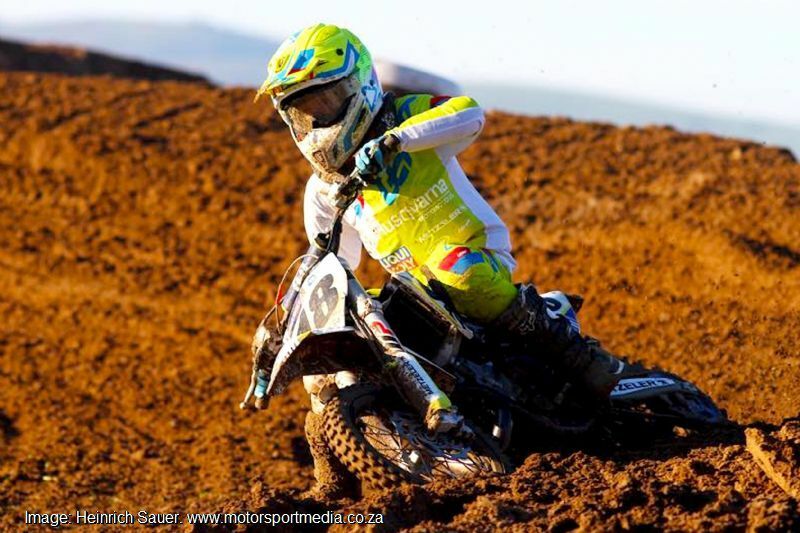 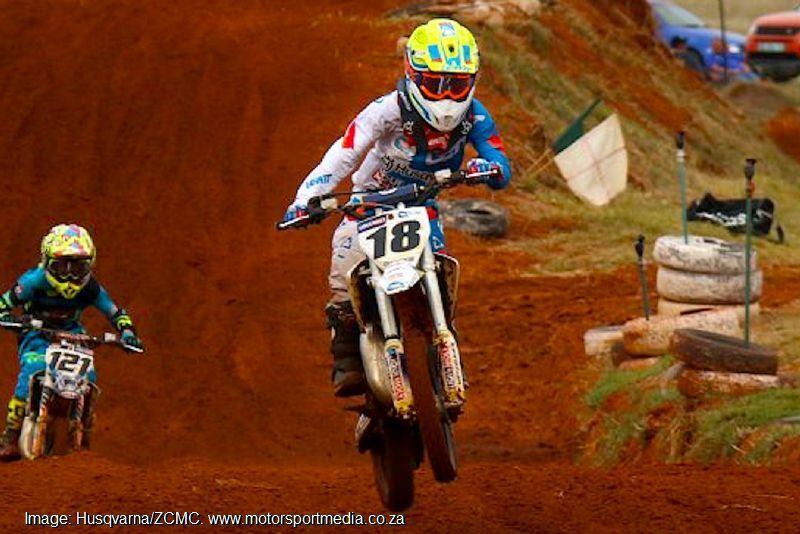 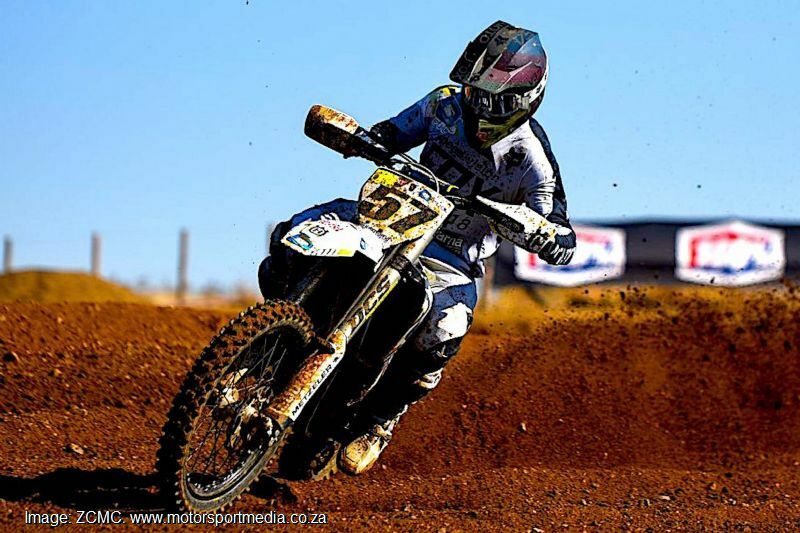 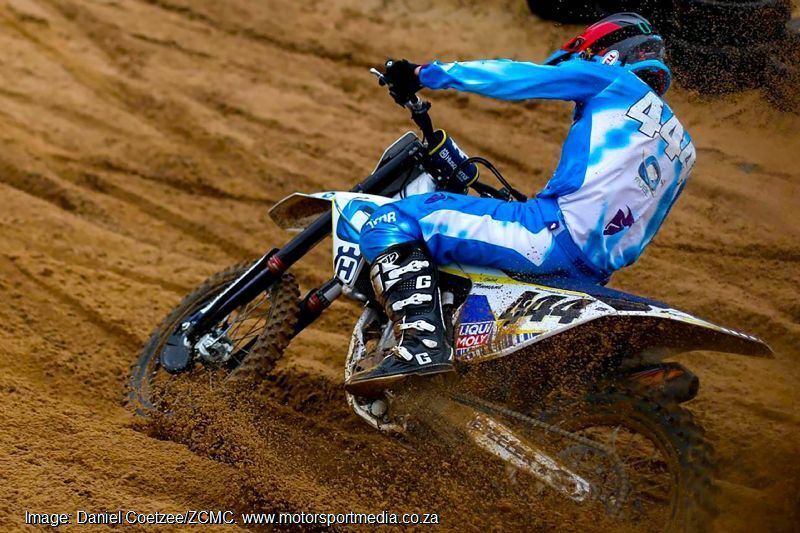 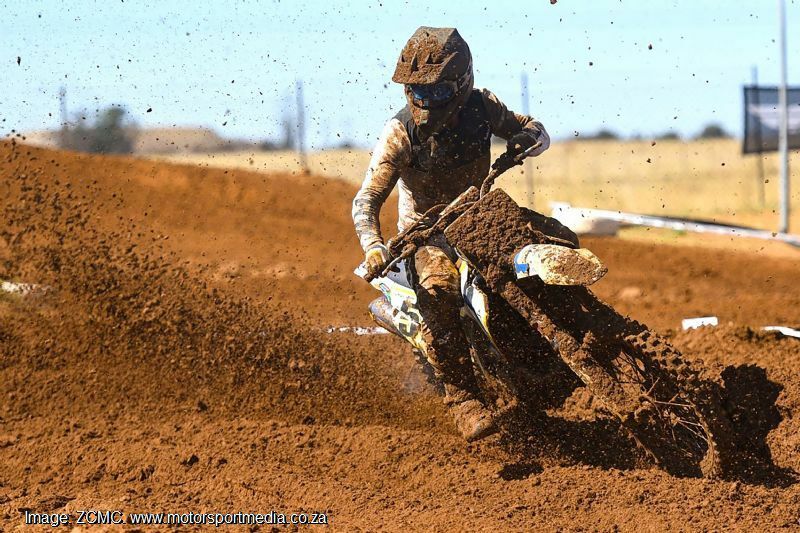 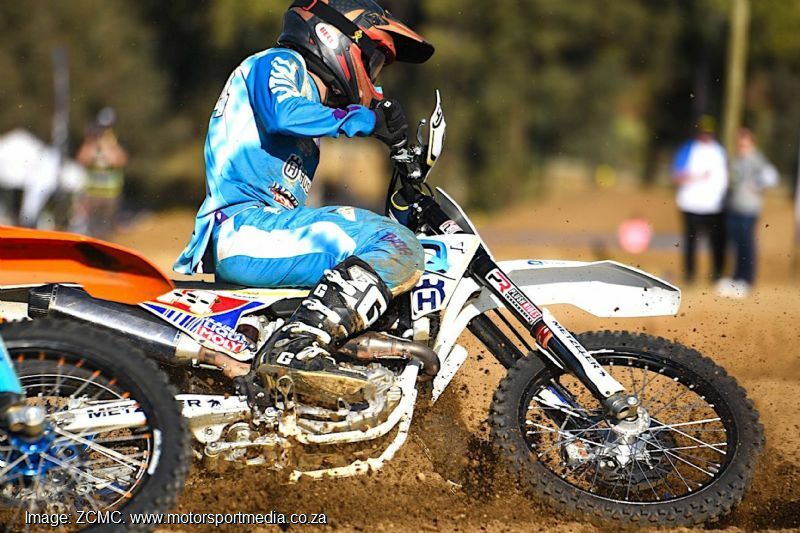 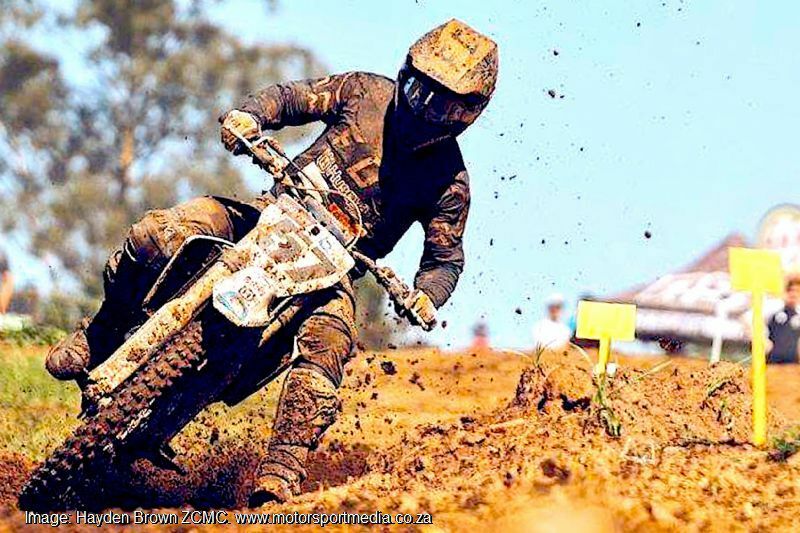 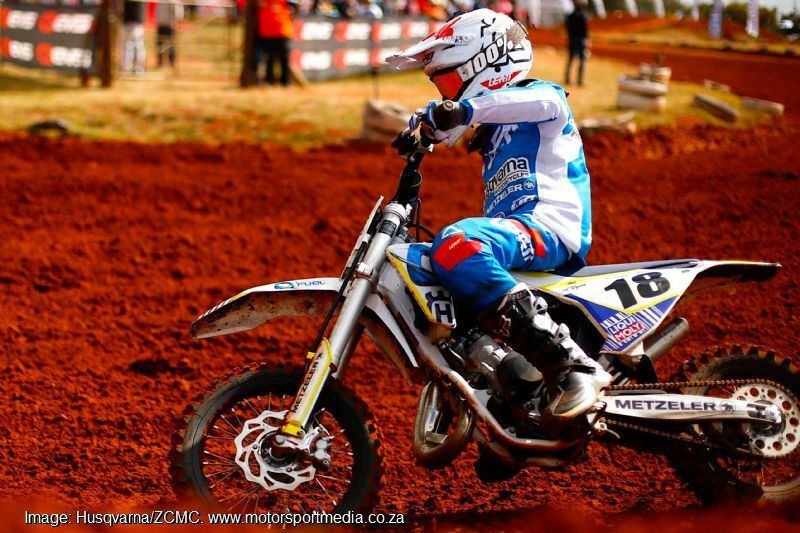 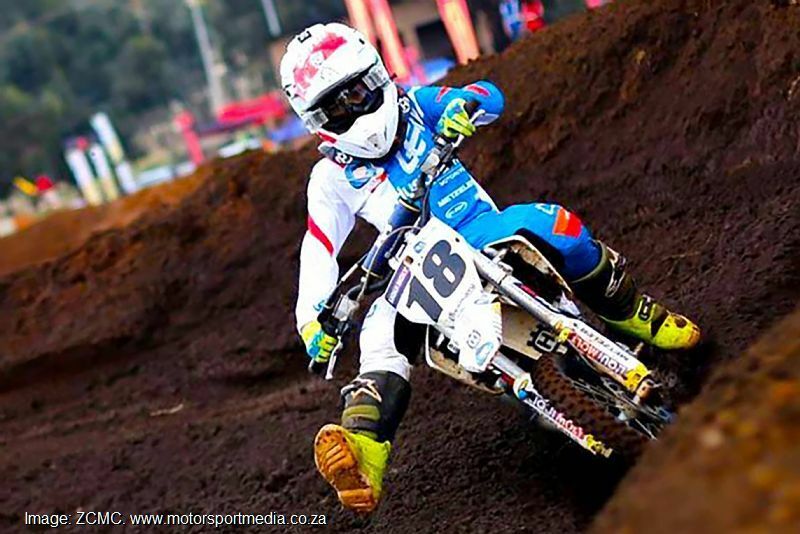 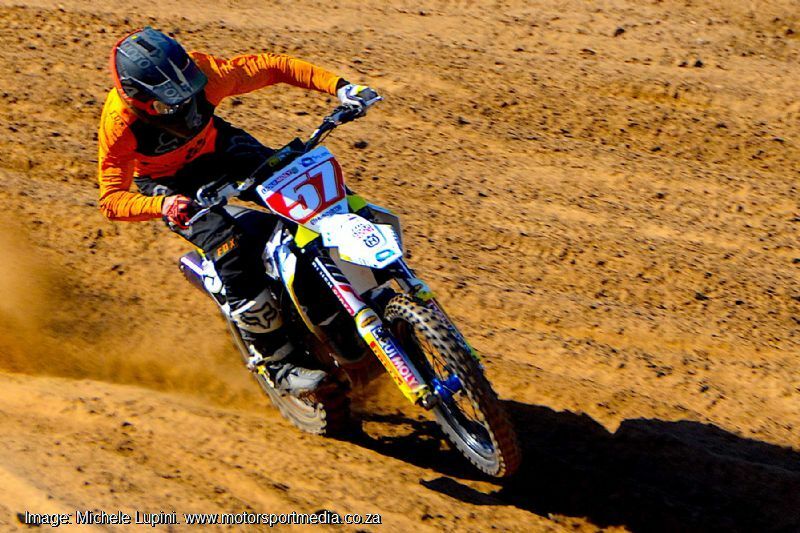 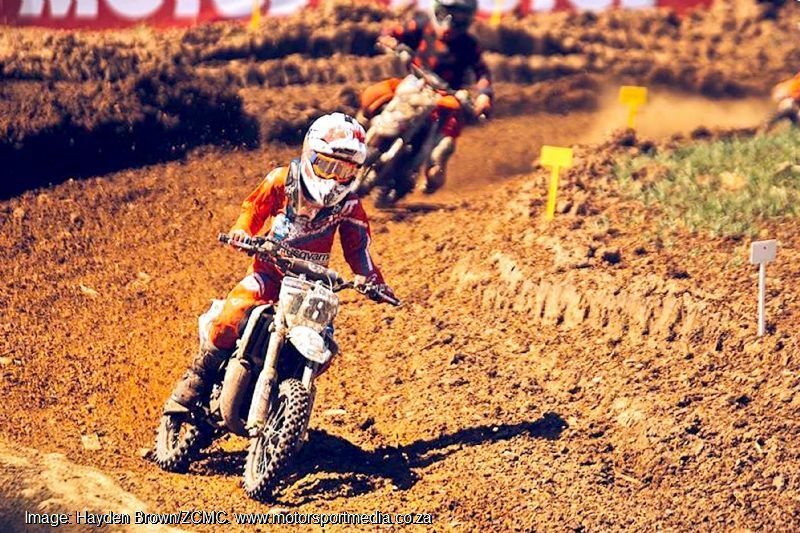 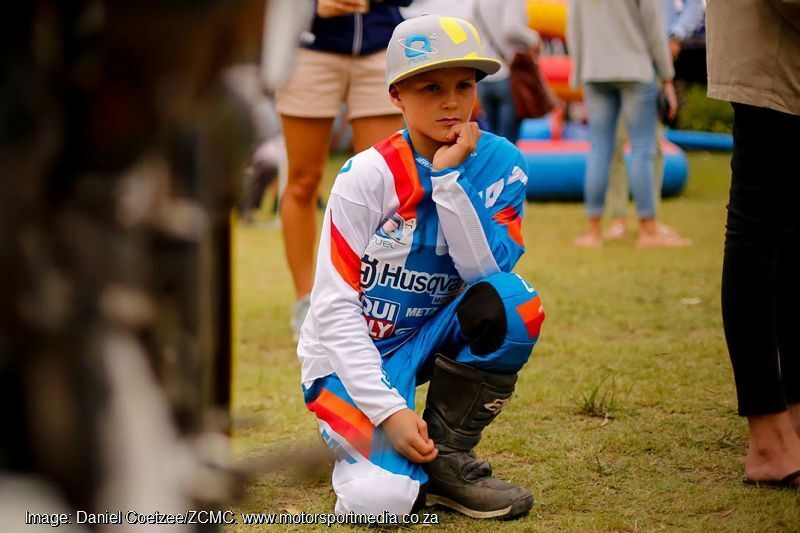 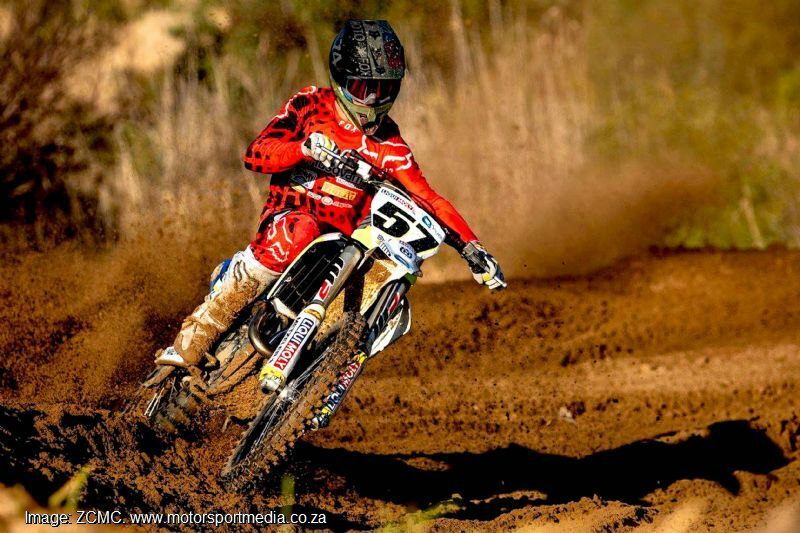 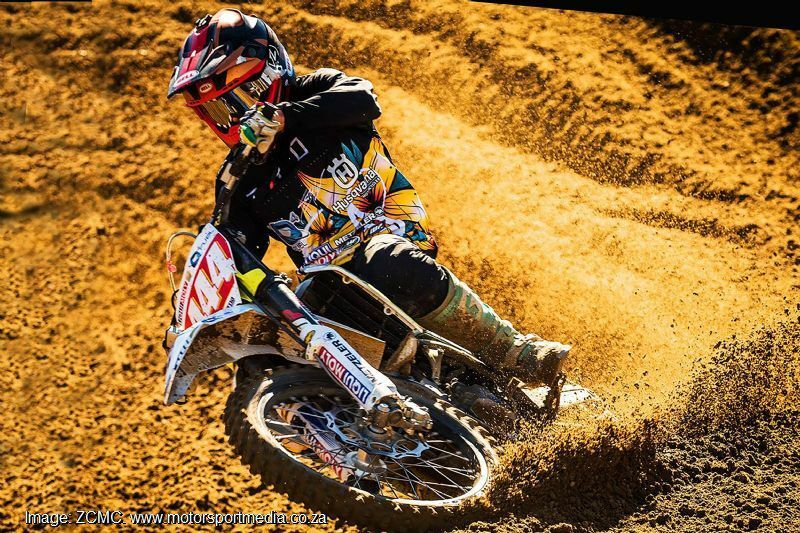 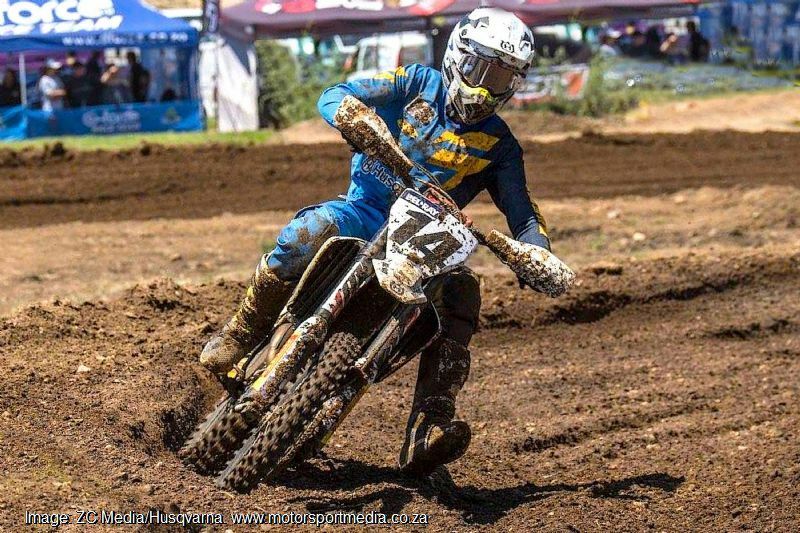 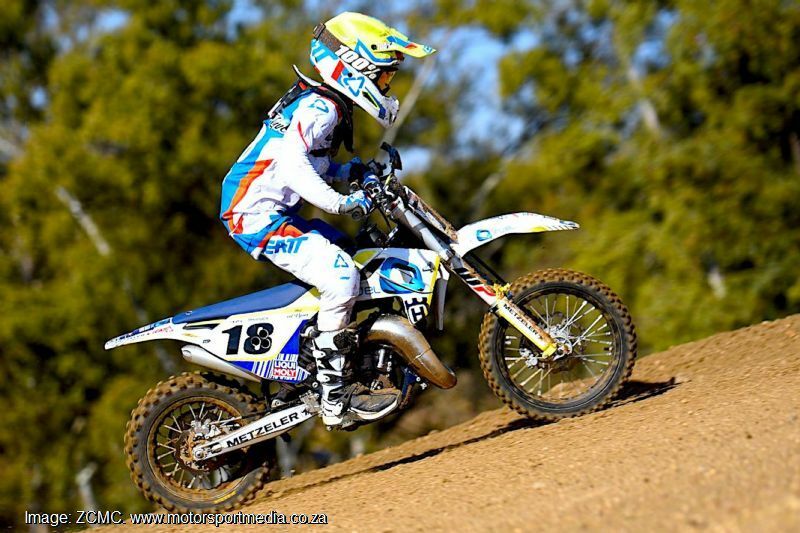 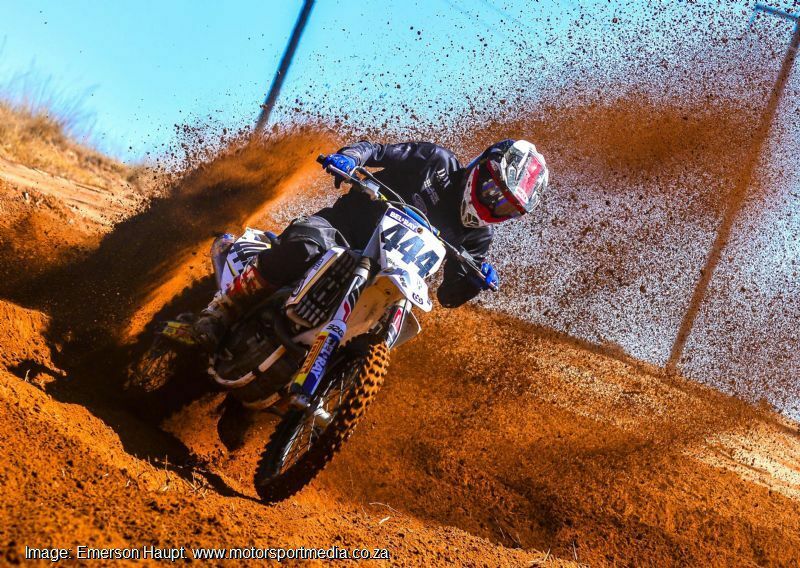 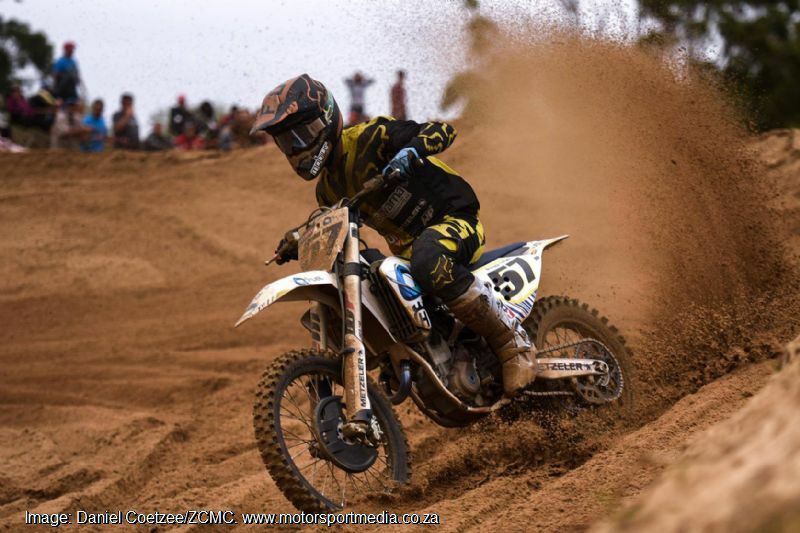 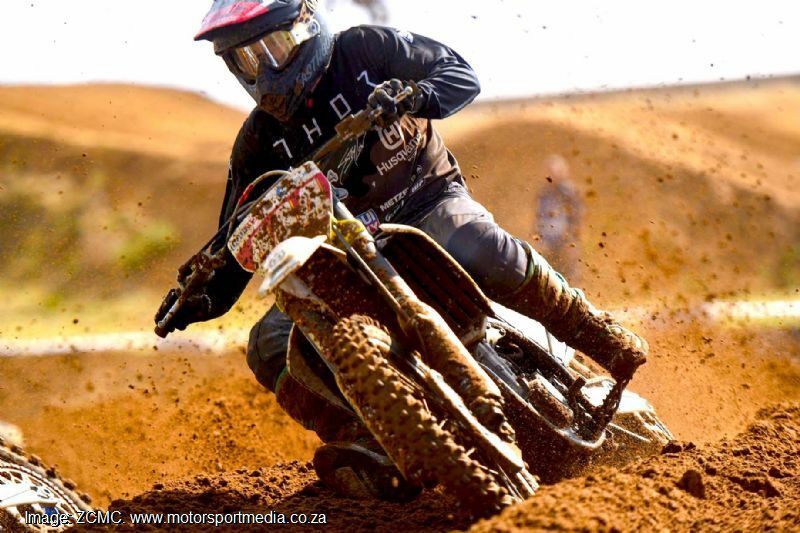 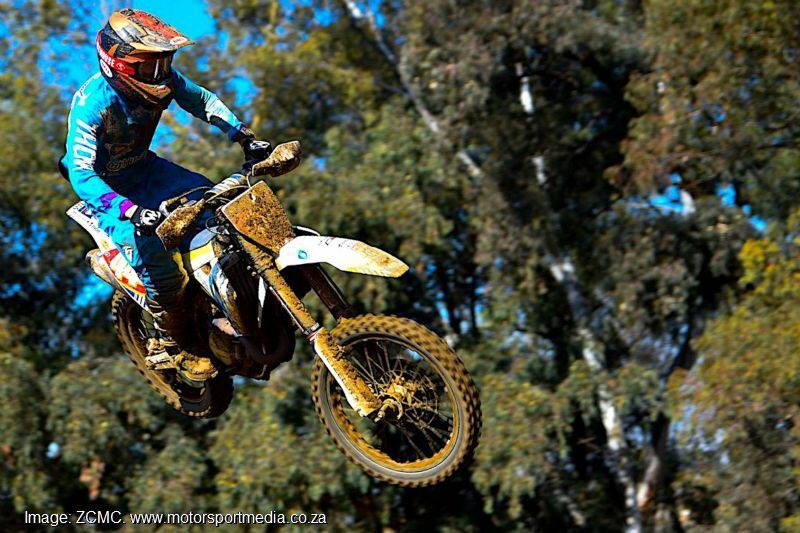 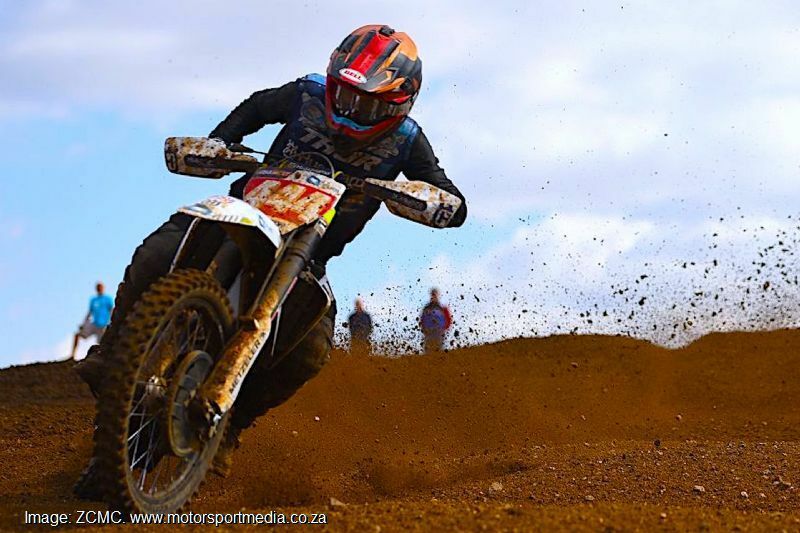 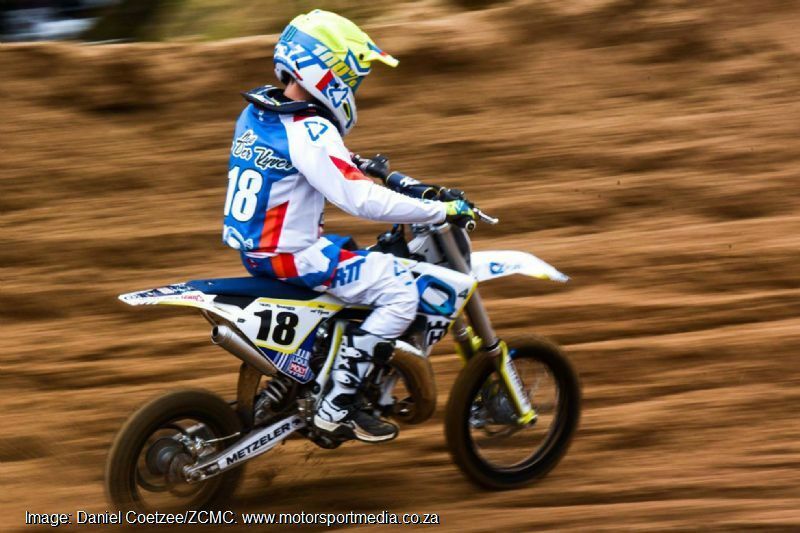 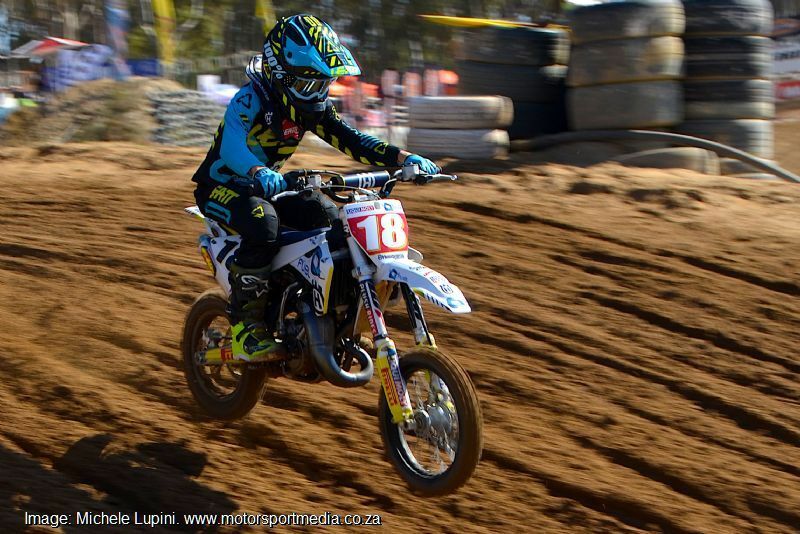 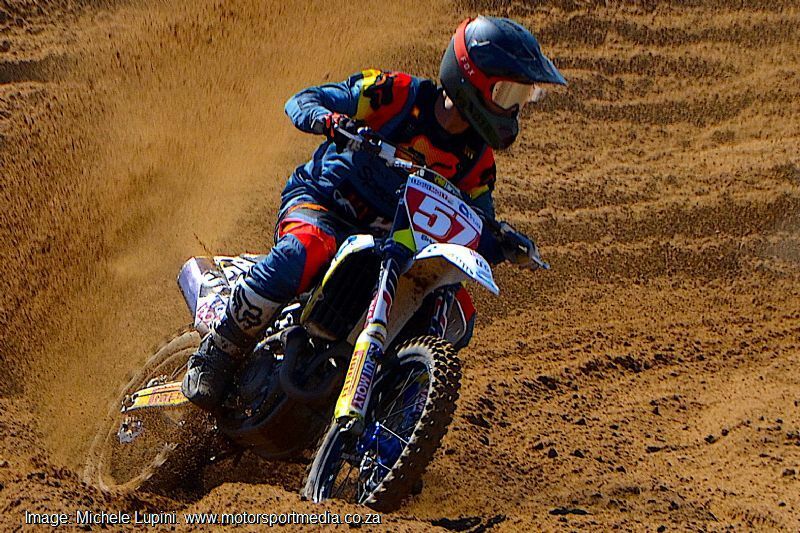 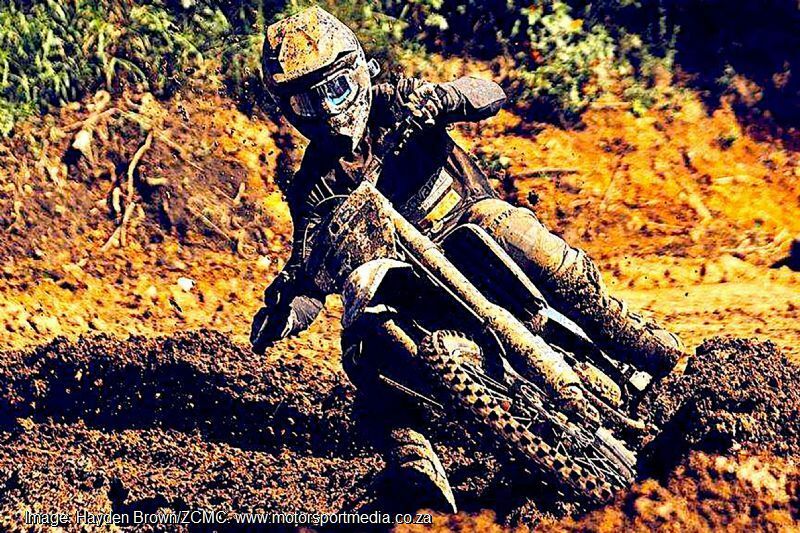 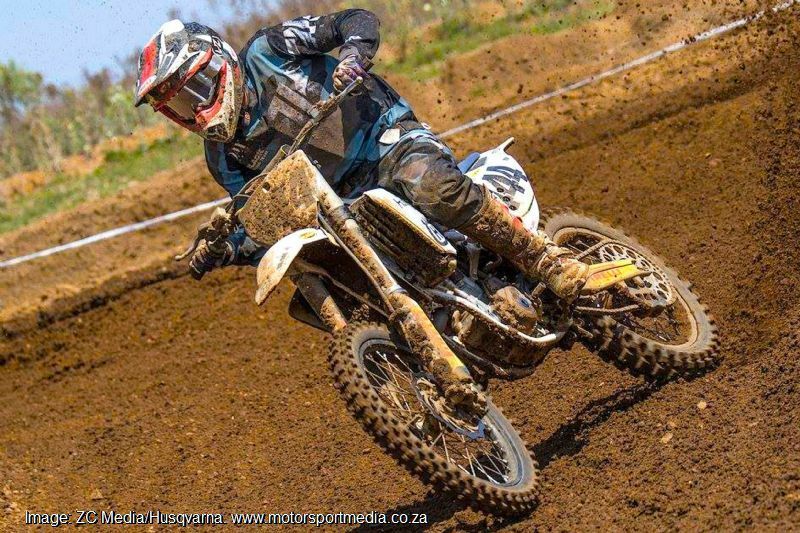 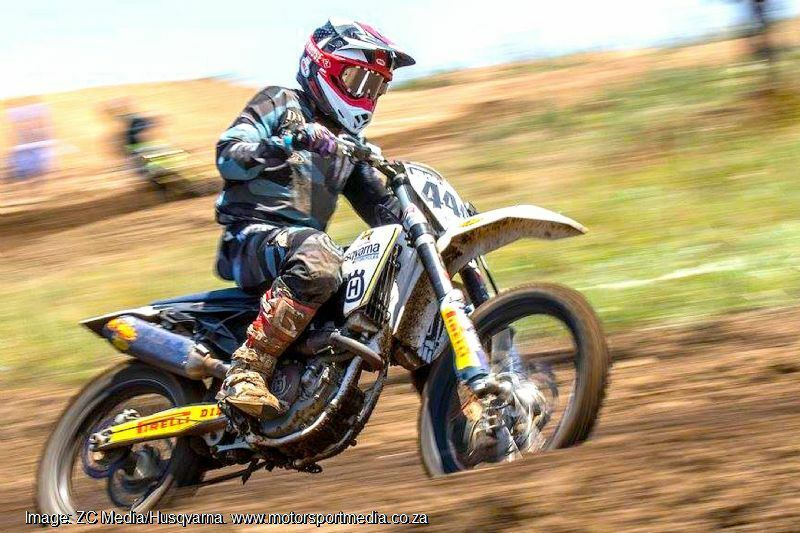 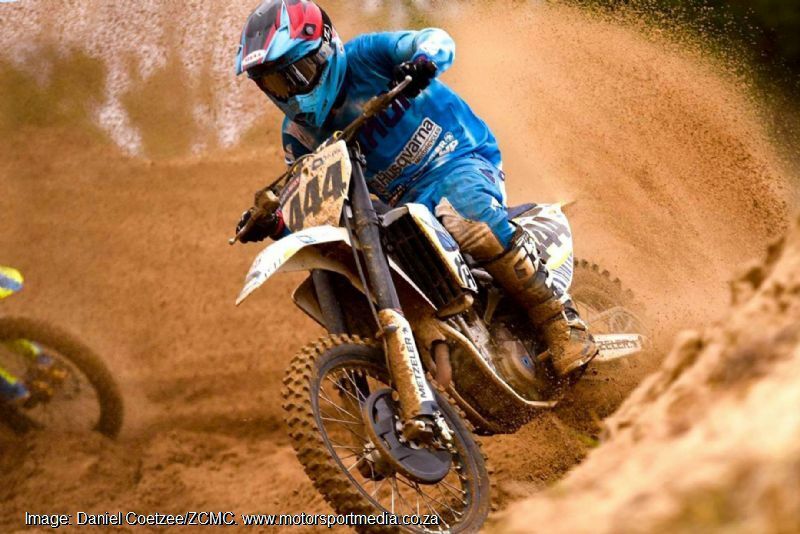 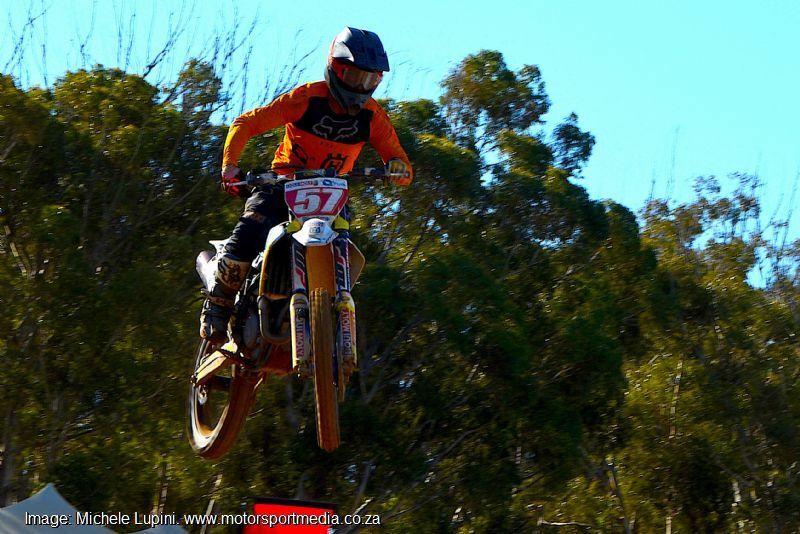 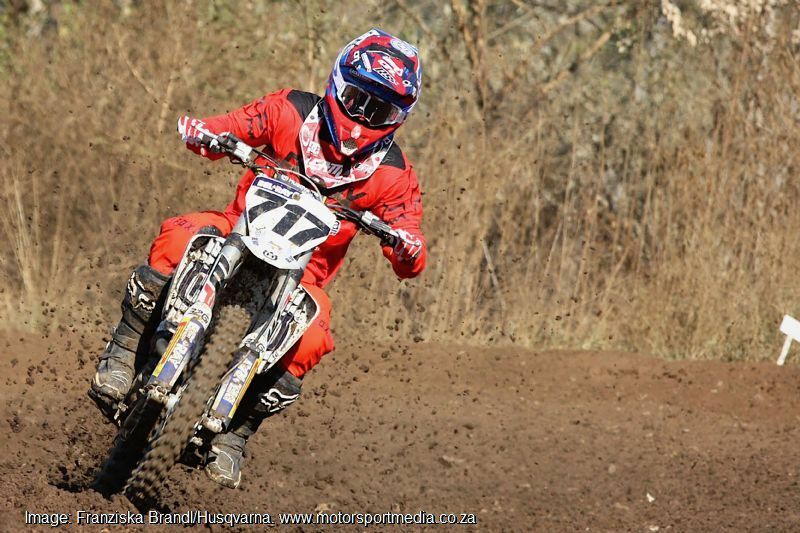 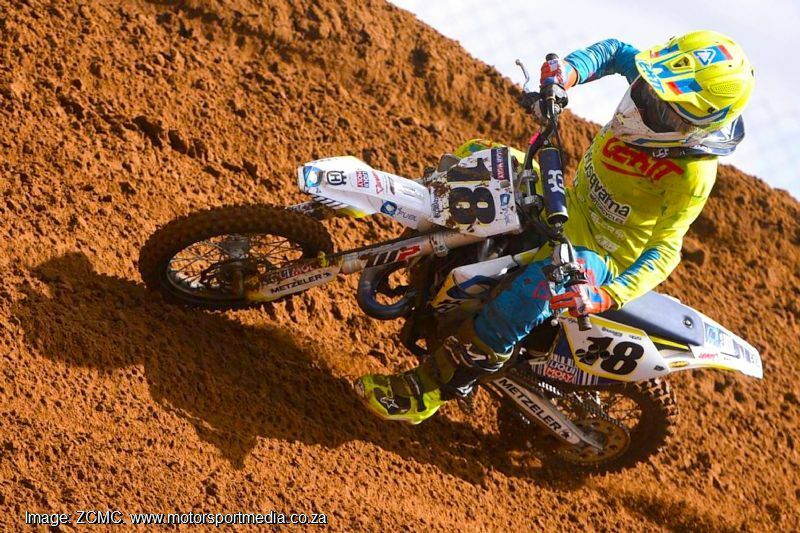 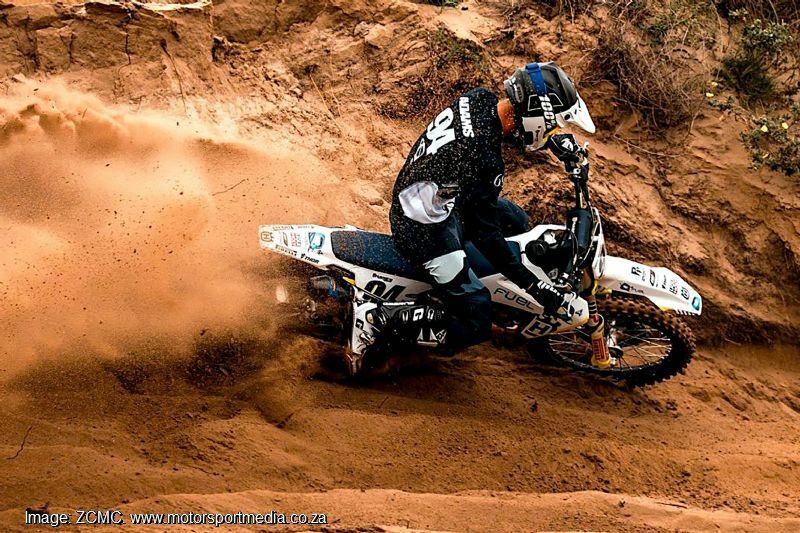 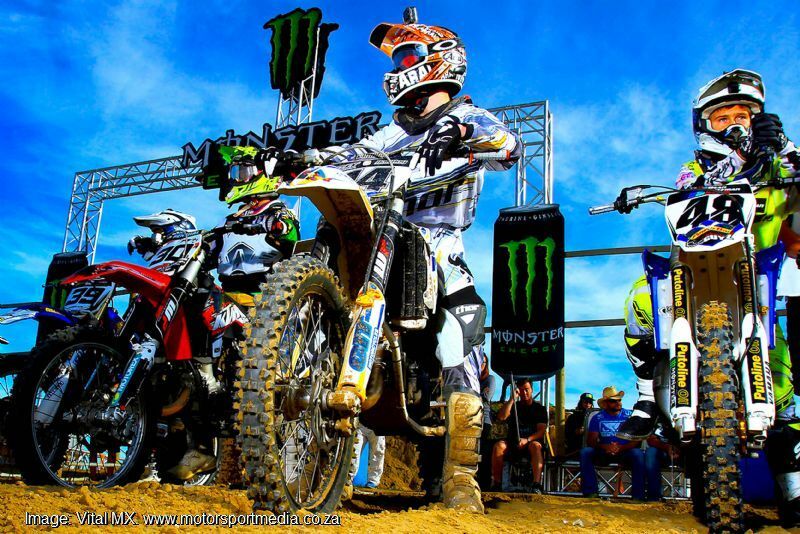 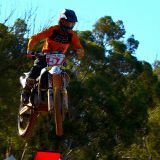 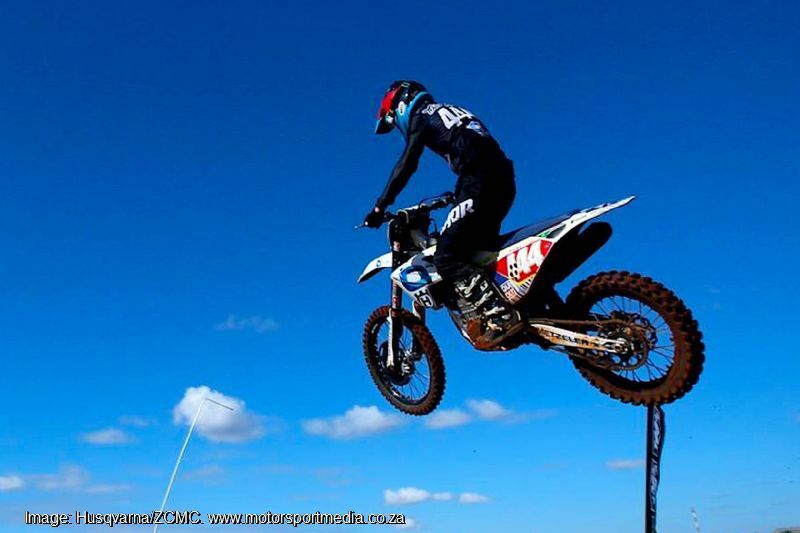 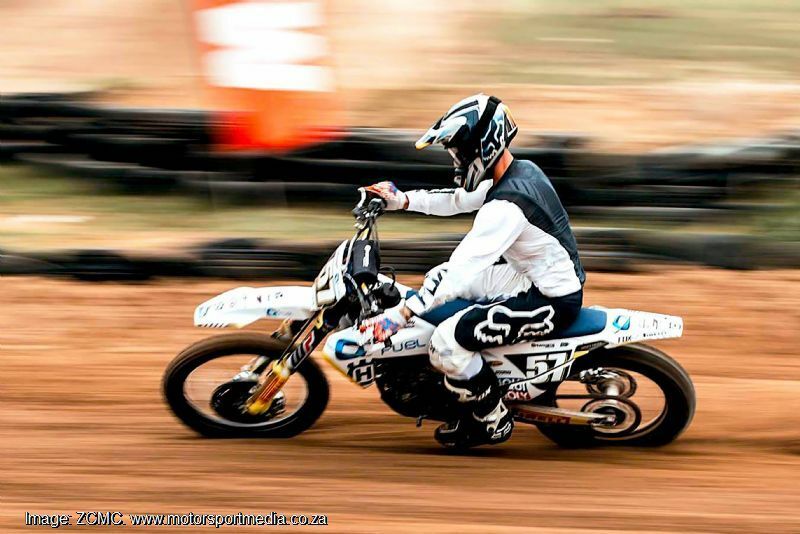 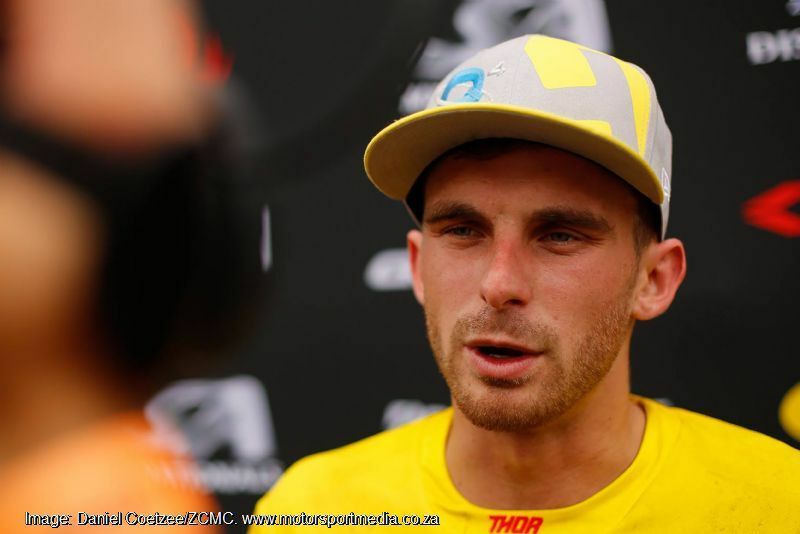 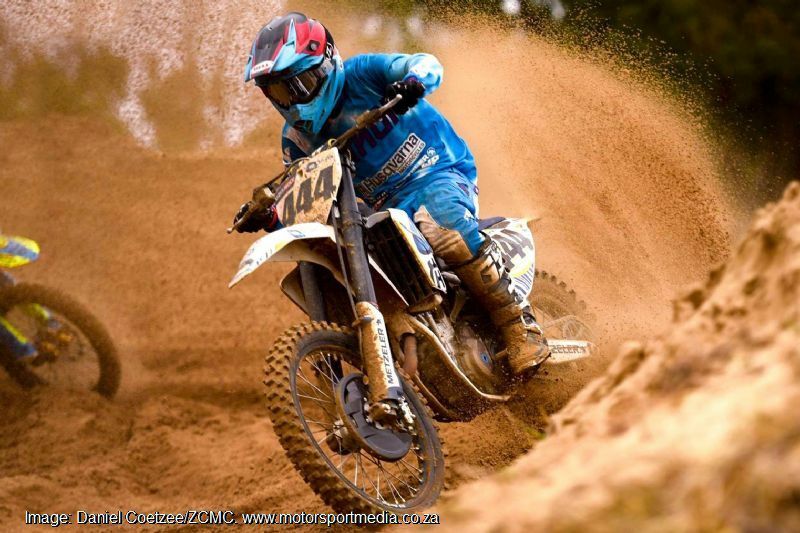 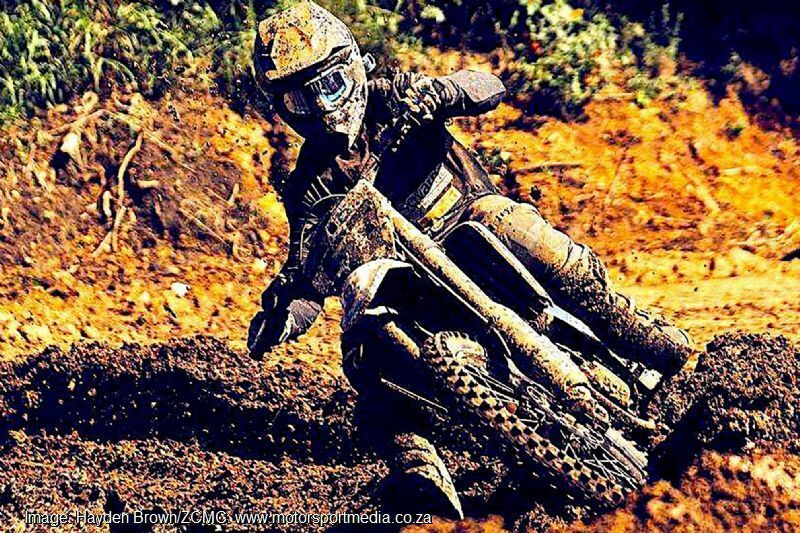 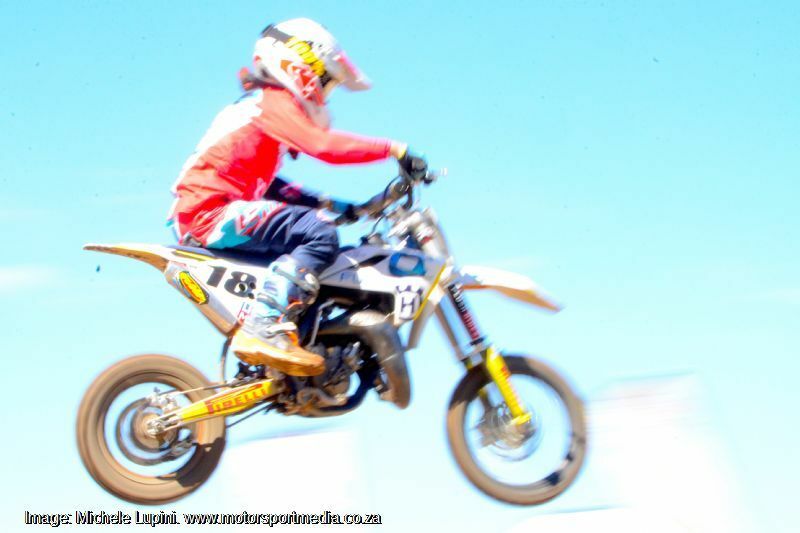 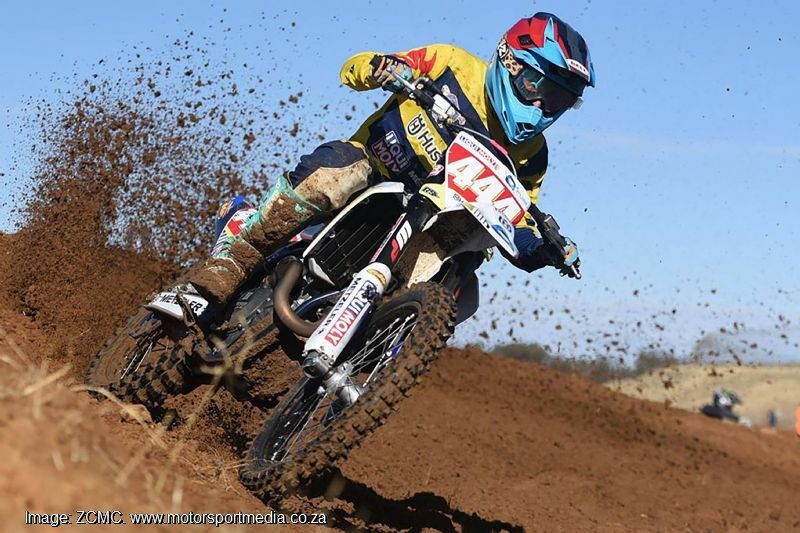 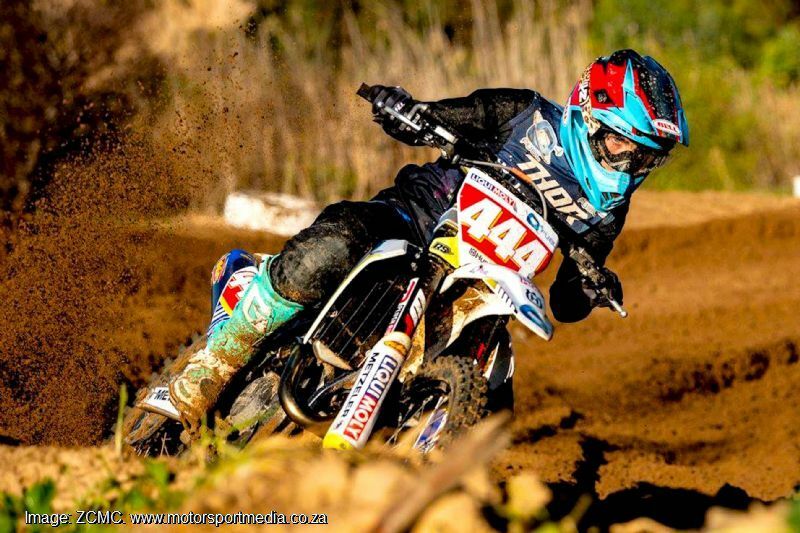 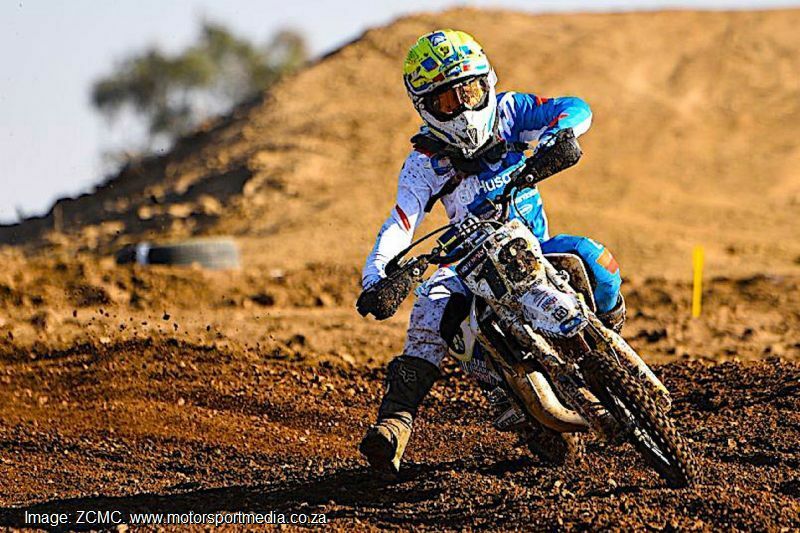 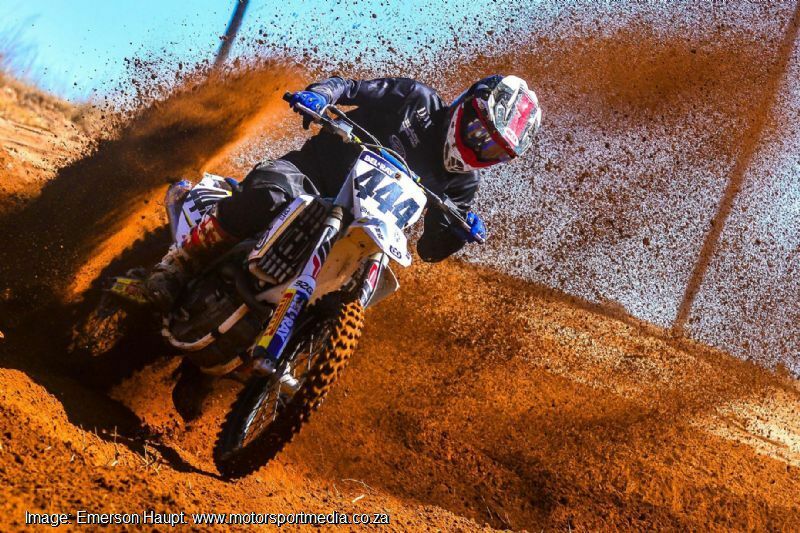 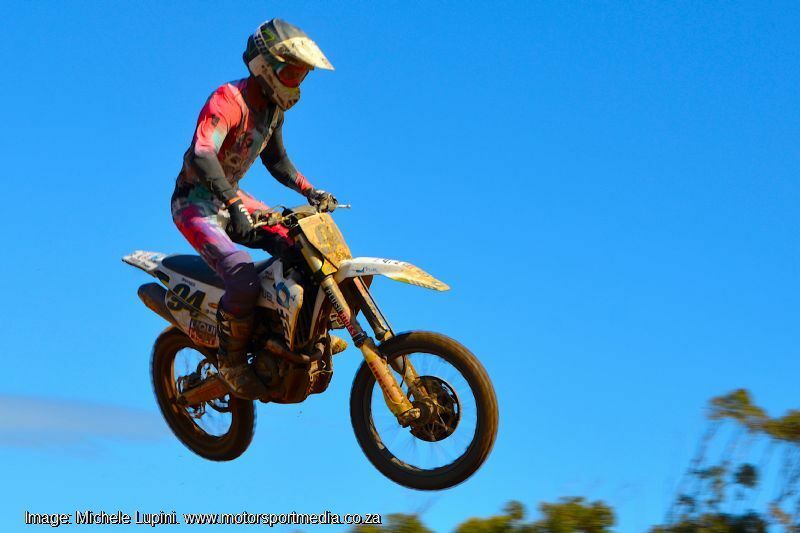 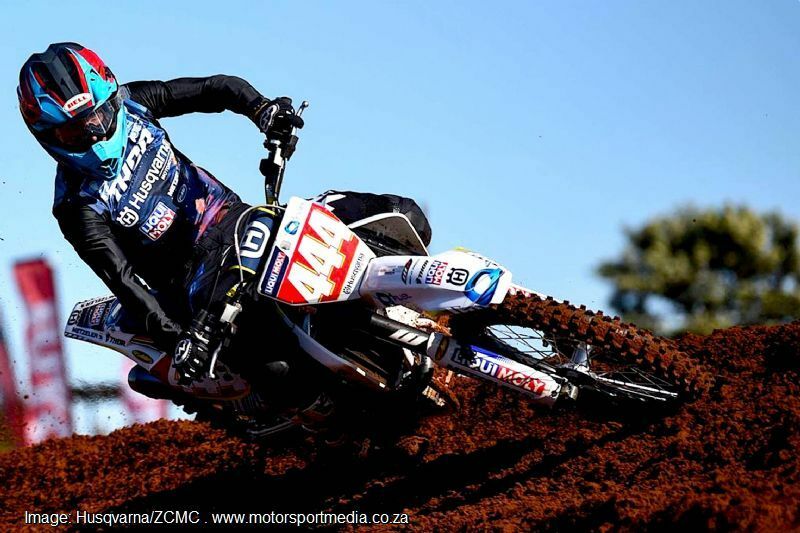 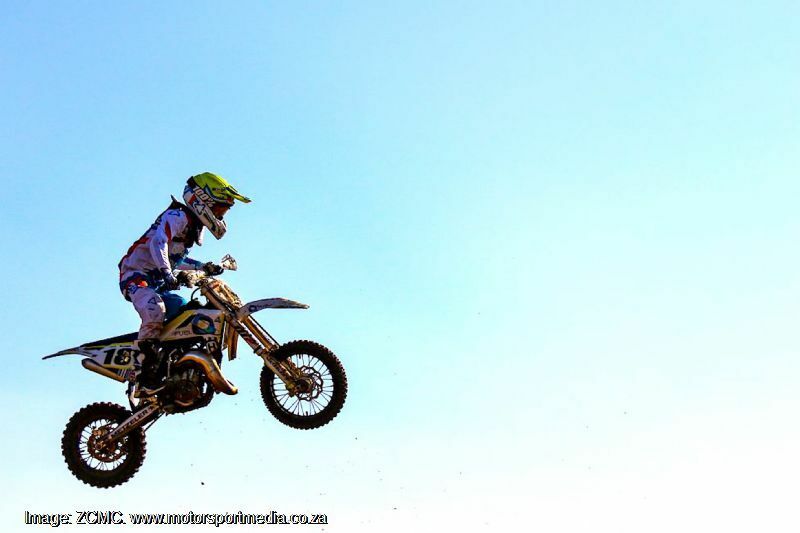 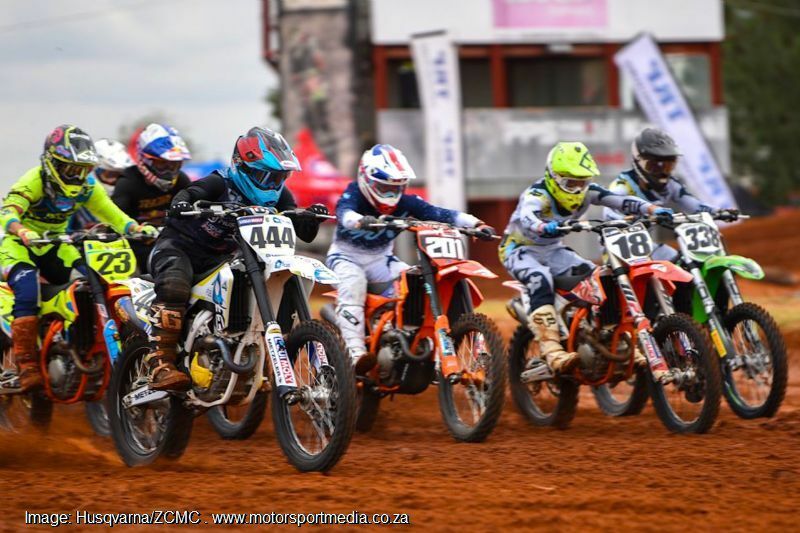 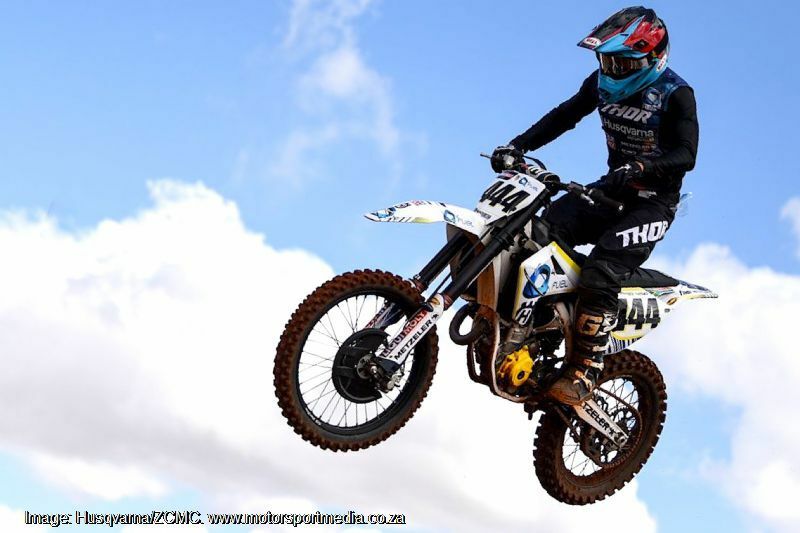 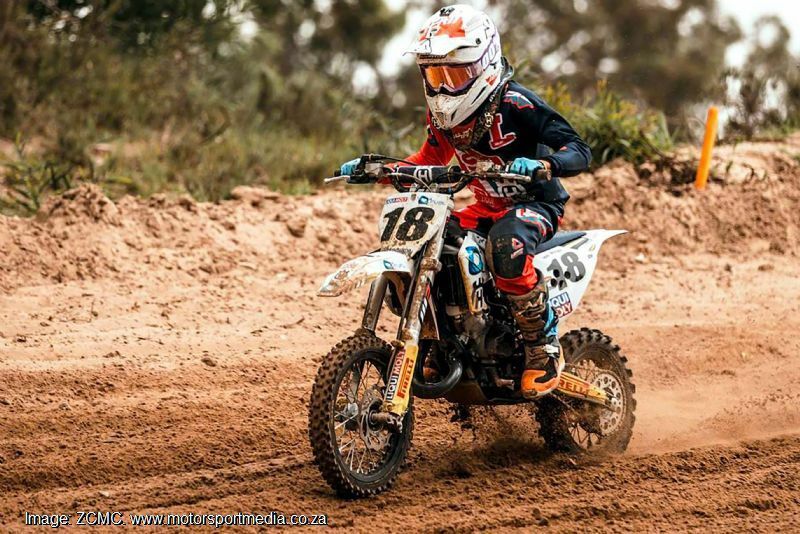 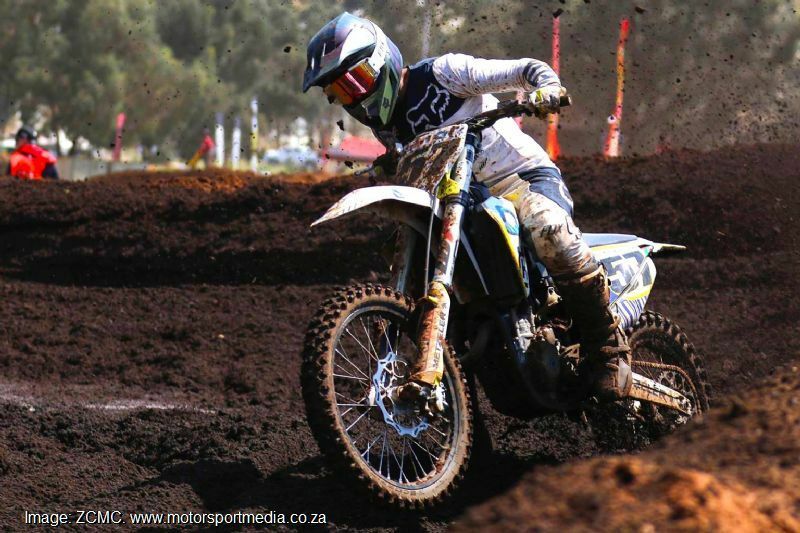 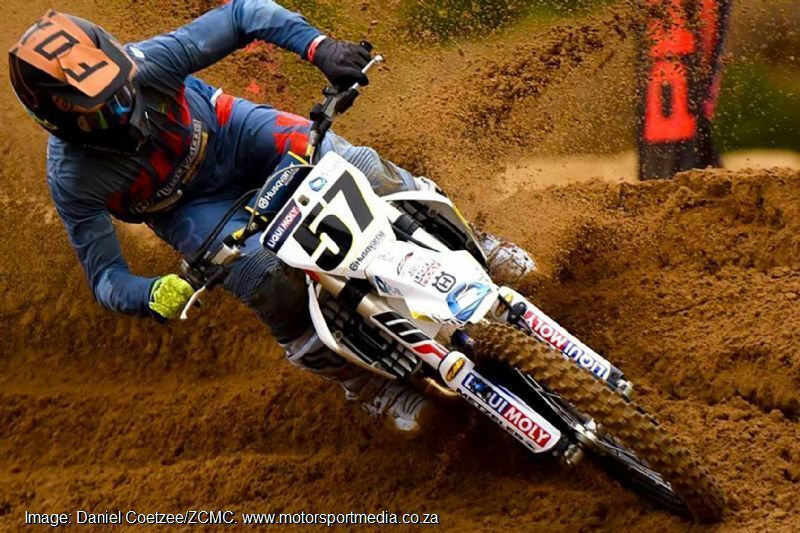 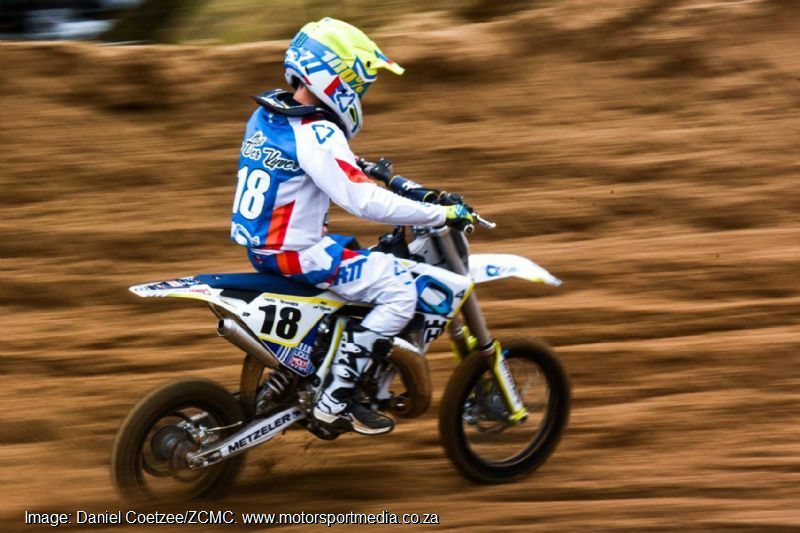 The company’s South African arm runs a strong motocross team headed up by local stars Richie van der Westhuizen on Husqvarna #717 in the MX1 and MX2 classes and Maddy Malan in MX2 aboard bike number 57. 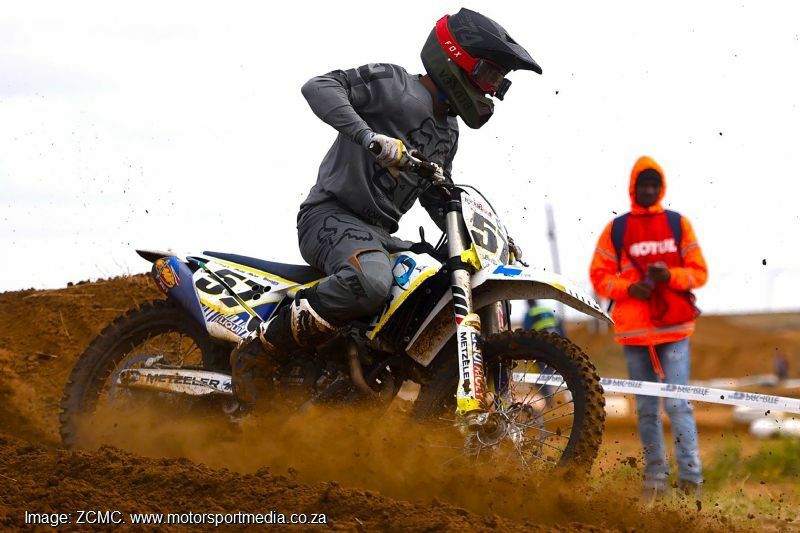 The team enjoyed a brilliant start to the 2017 SA Motocross season where Husqvarna leads the Manufacturers points from Yamaha and KTM. 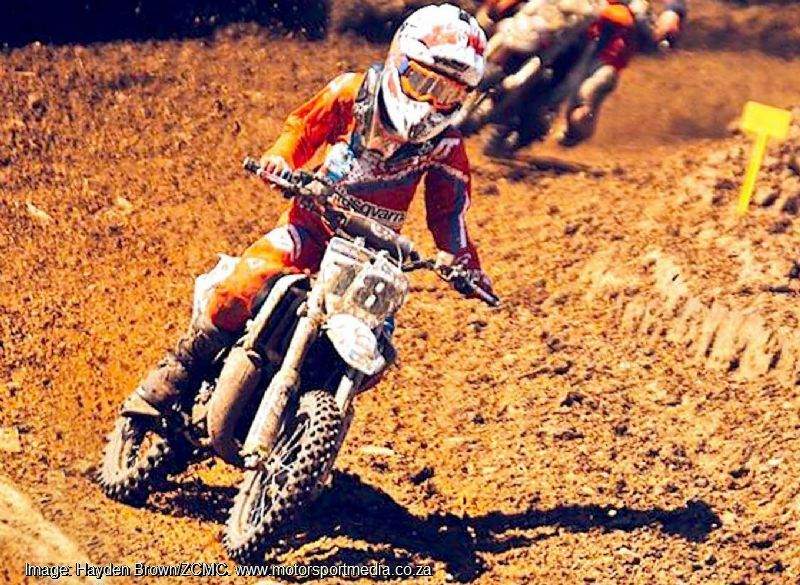 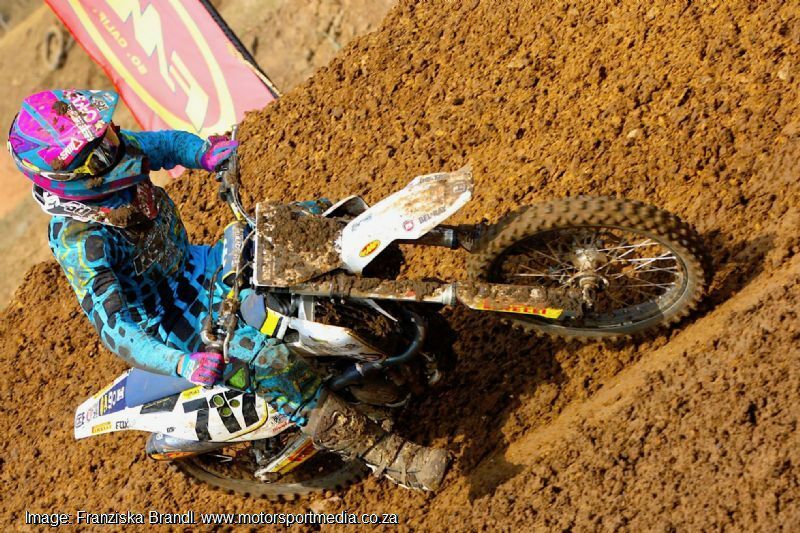 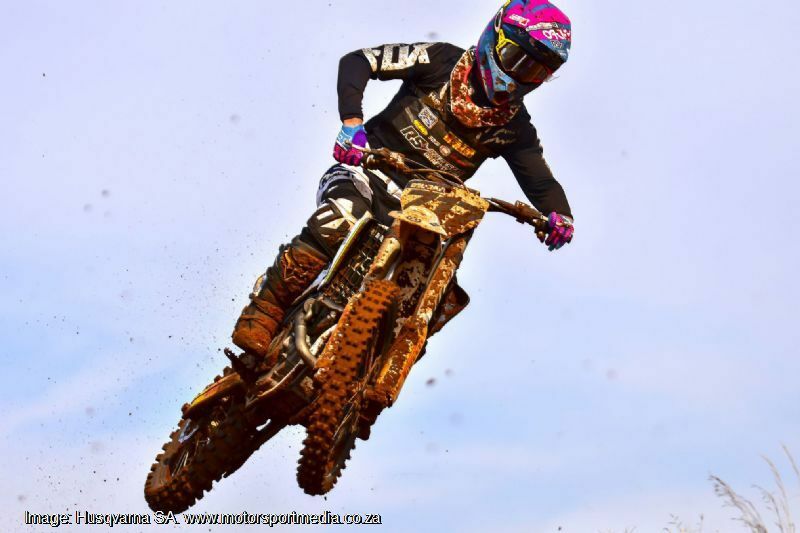 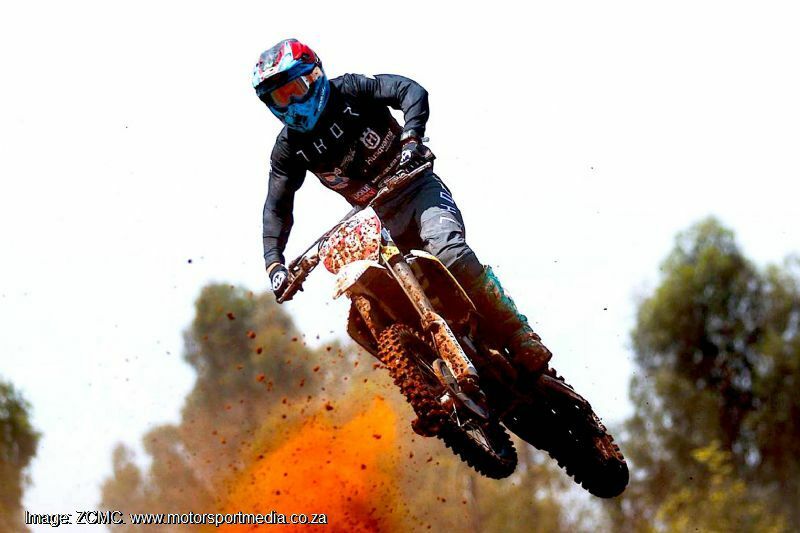 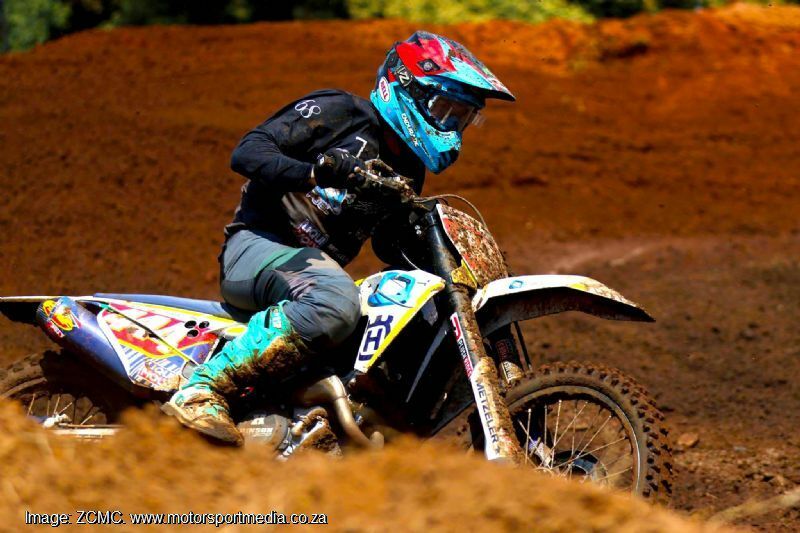 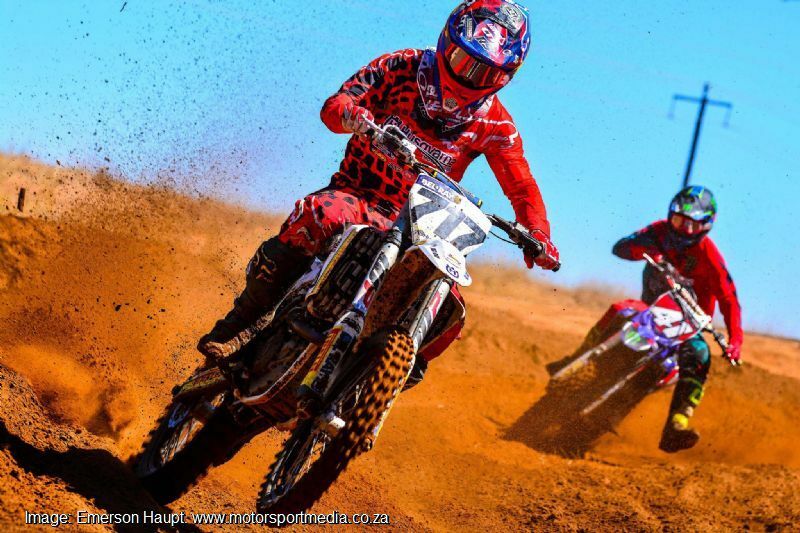 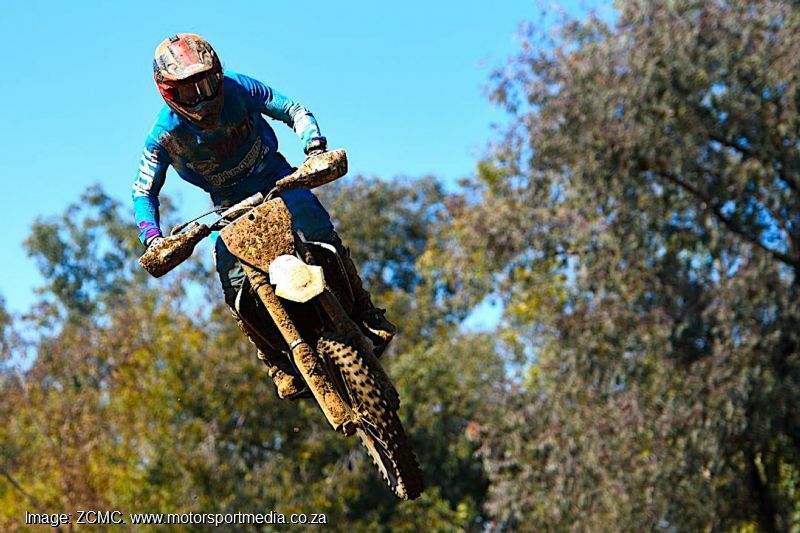 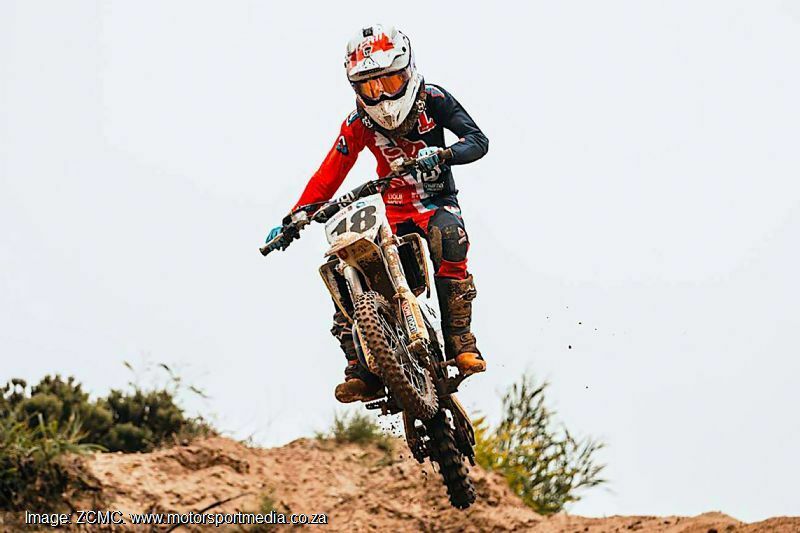 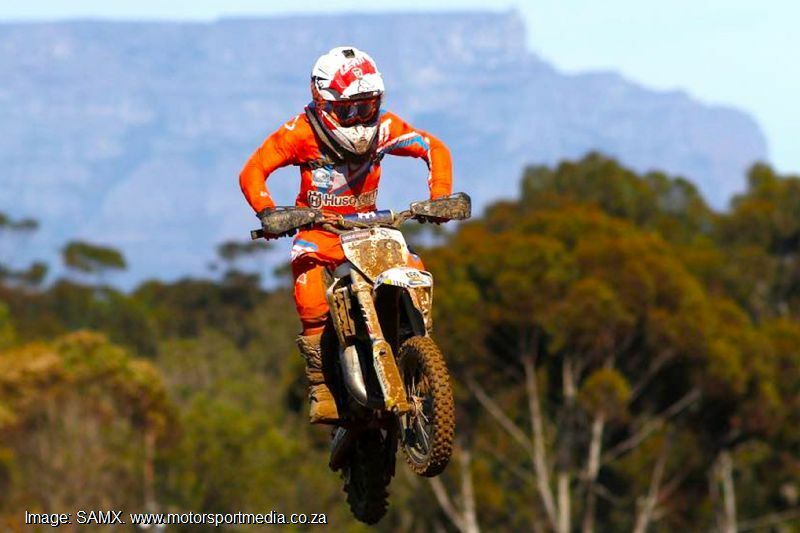 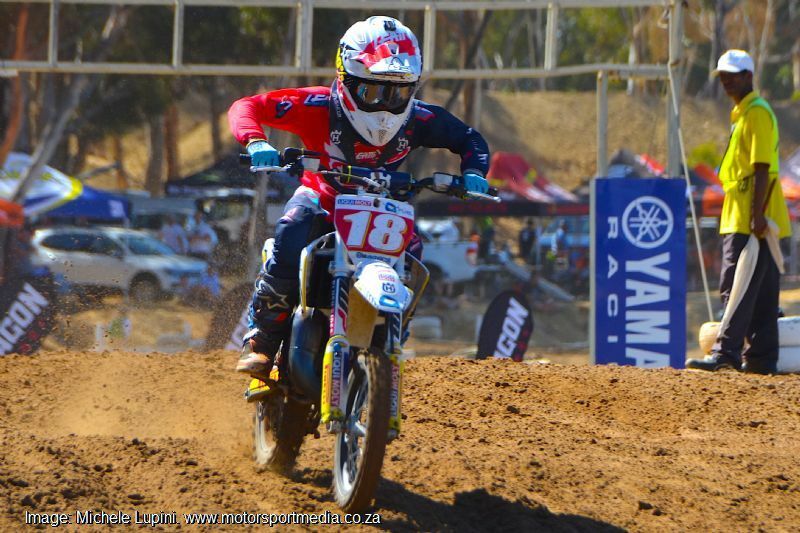 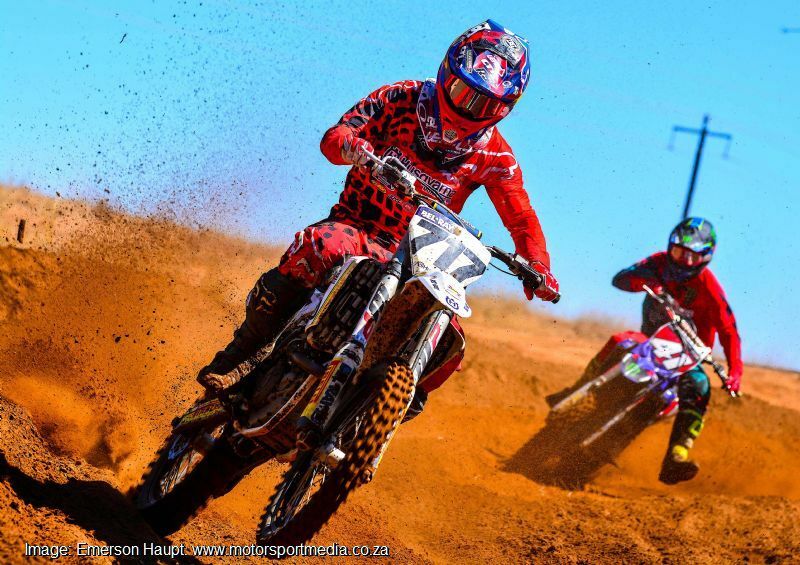 Maddy Malan has won four of the four MX2 races so far this season to lead the championship by 15 points with Richie van der Westhuizen sitting a strong third in that title race. 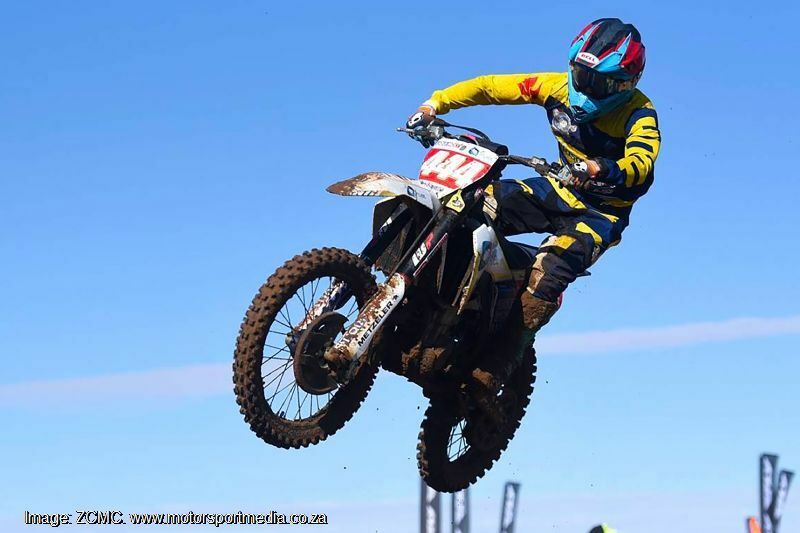 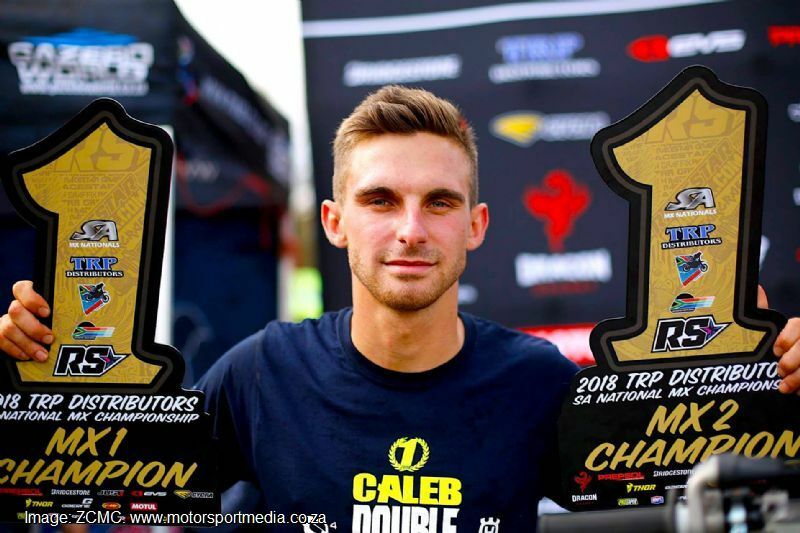 Richie also sat second in the MX1 championship following the opening Port Elizabeth and Cape Town rounds with four races still to run around the country through to September. 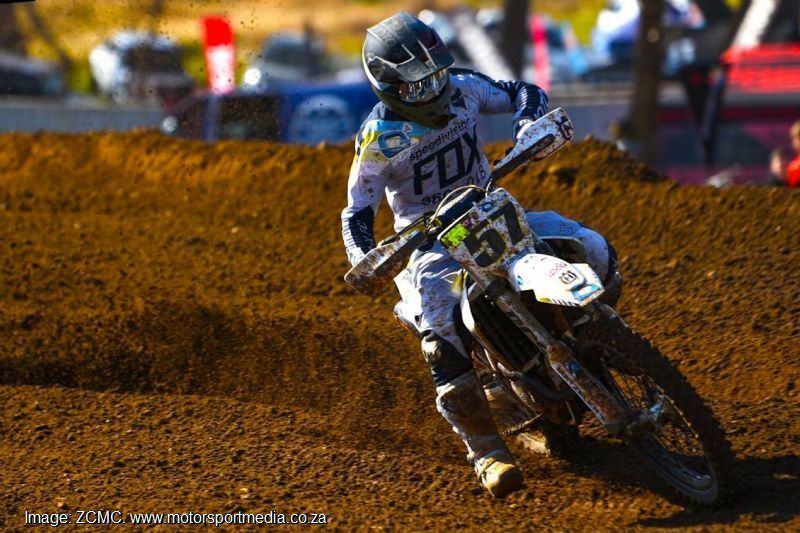 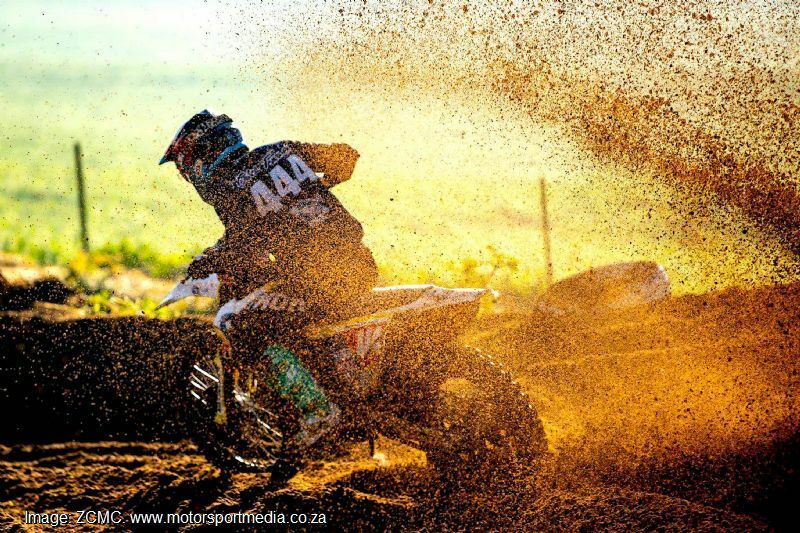 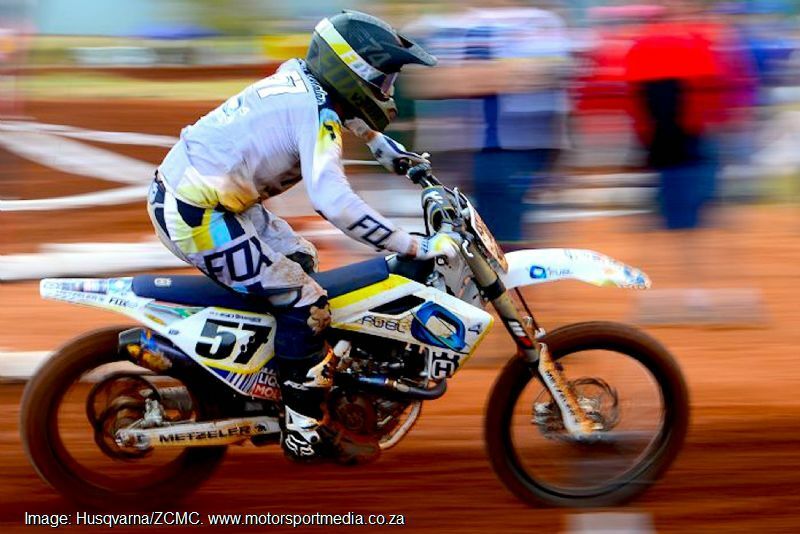 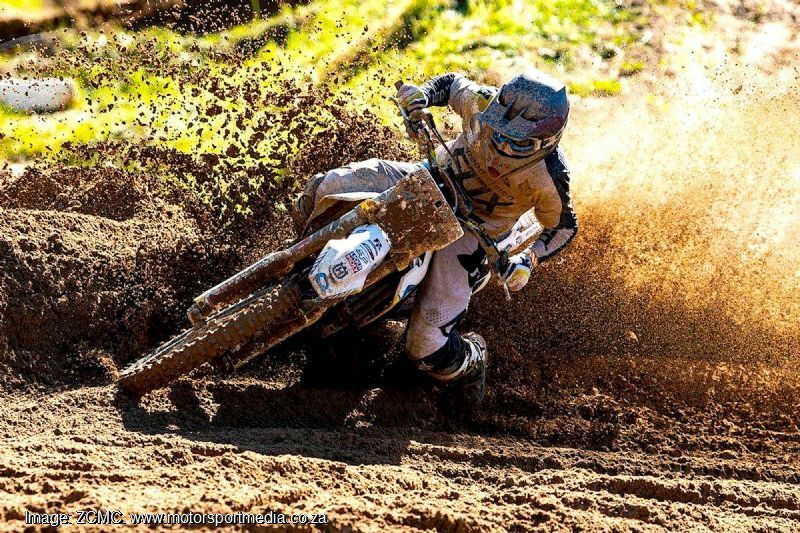 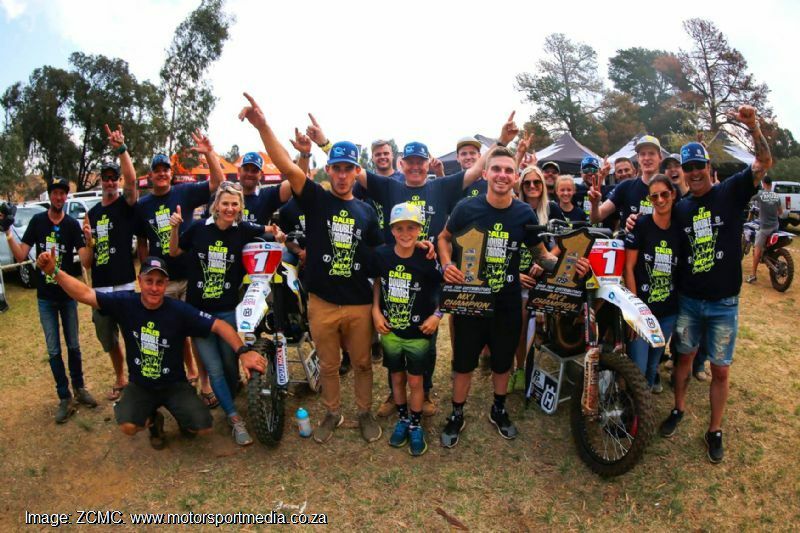 Husqvarna Motorcycles’s South African motocross team rides on Pirelli Tyres, uses Bel-Ray lubricants and FMF exhausts, in Fox gear and pits with Portable Shade where the team is equipped with Snap-On Tools and depends on 32Gi Nutrition.